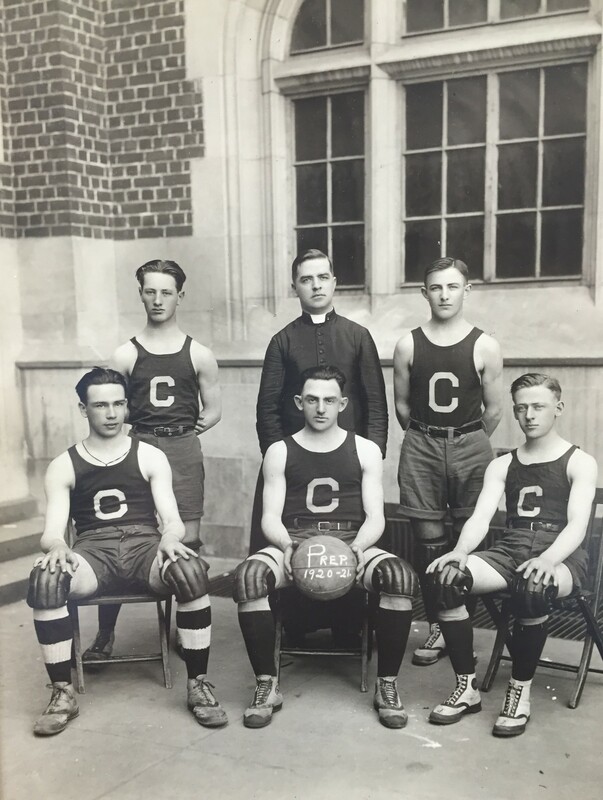 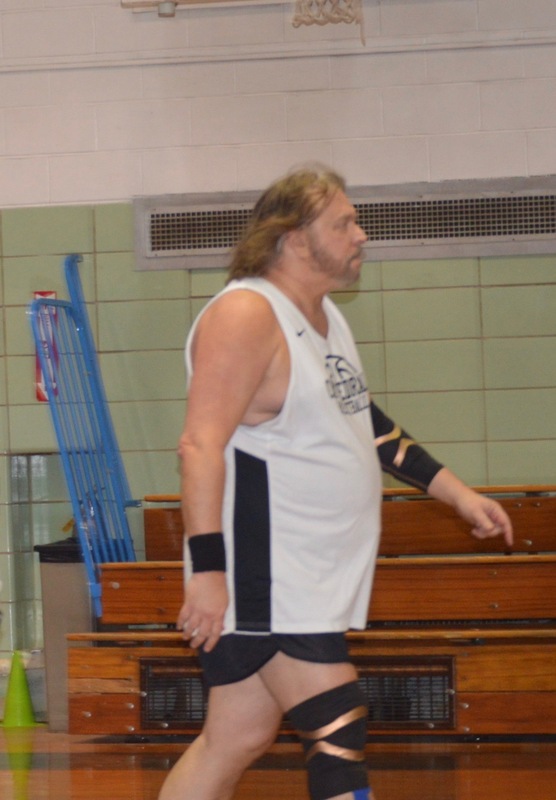 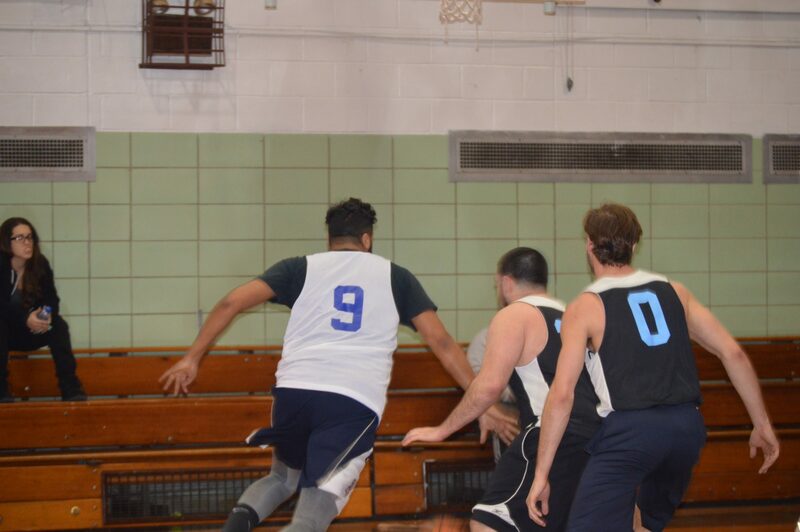 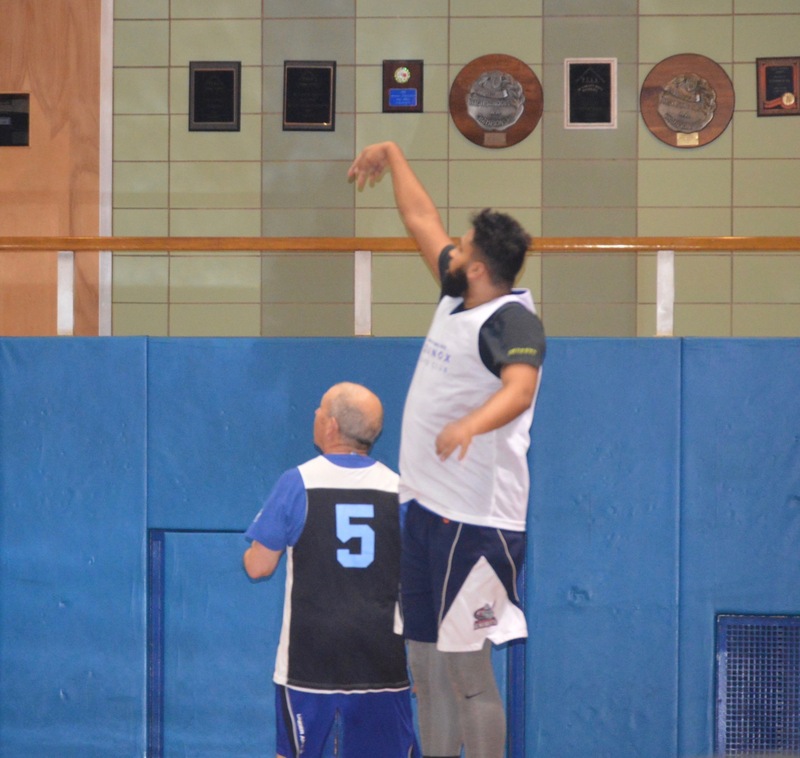 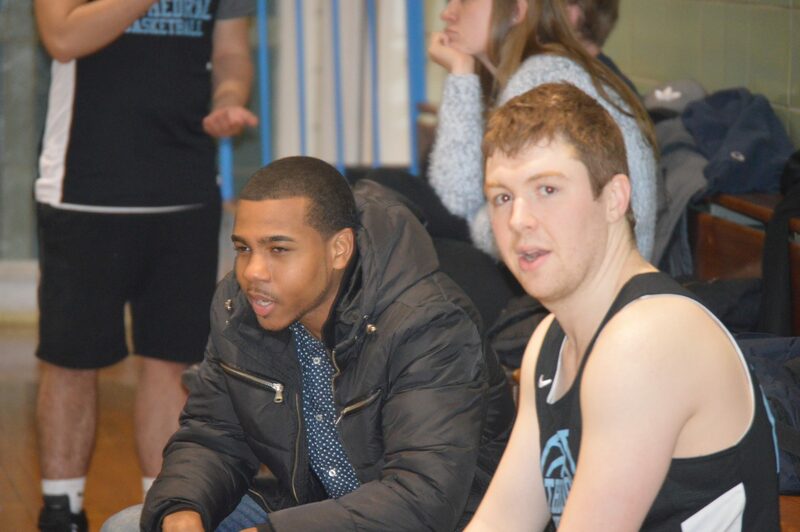 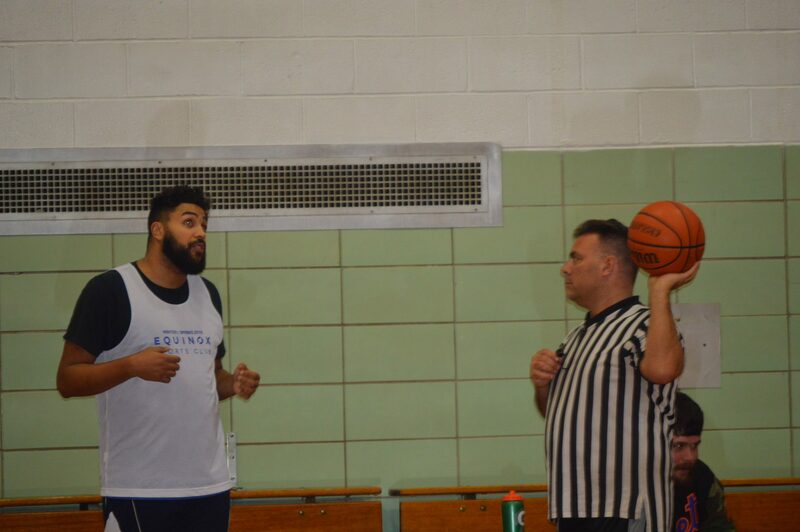 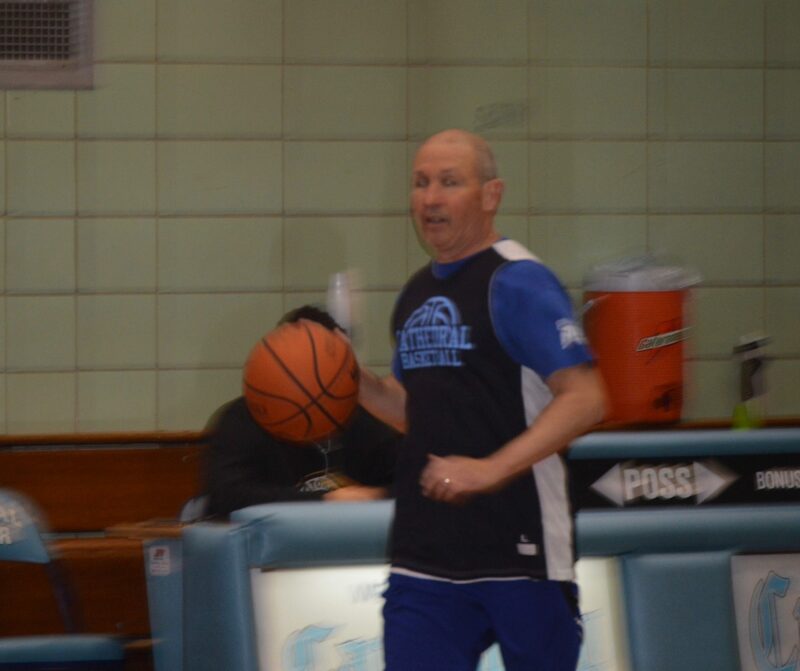 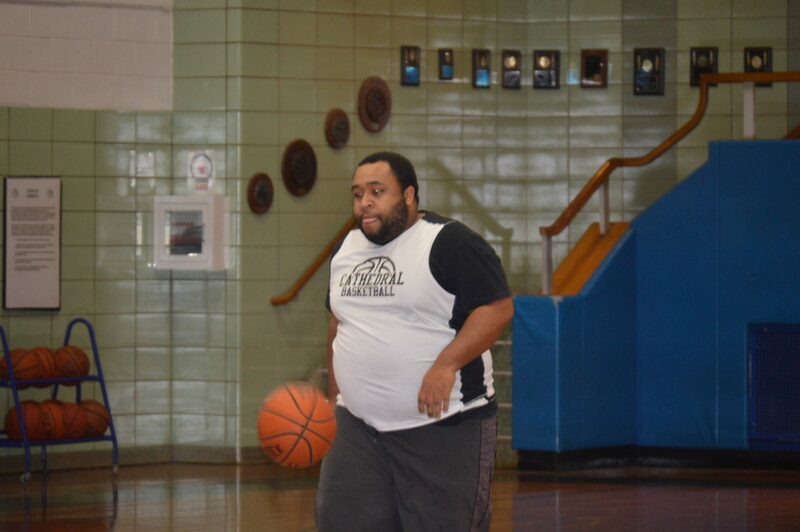 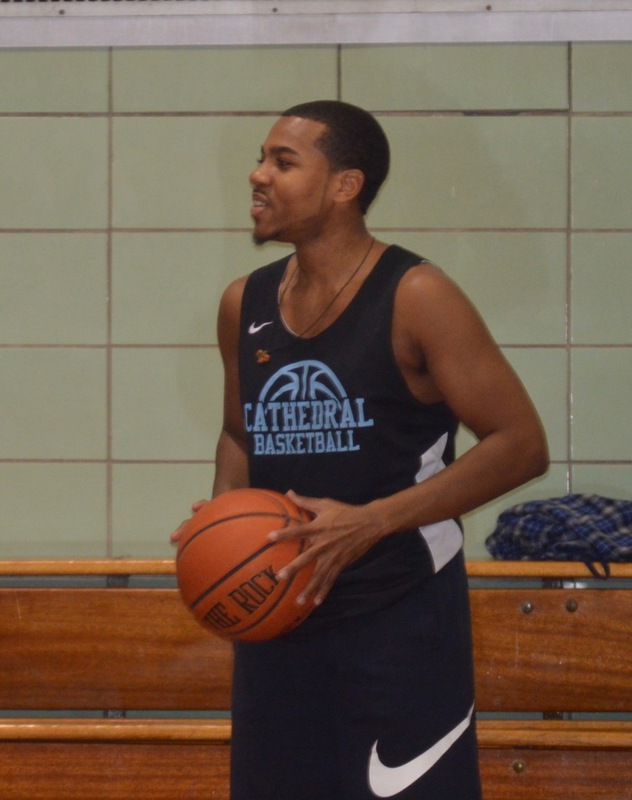 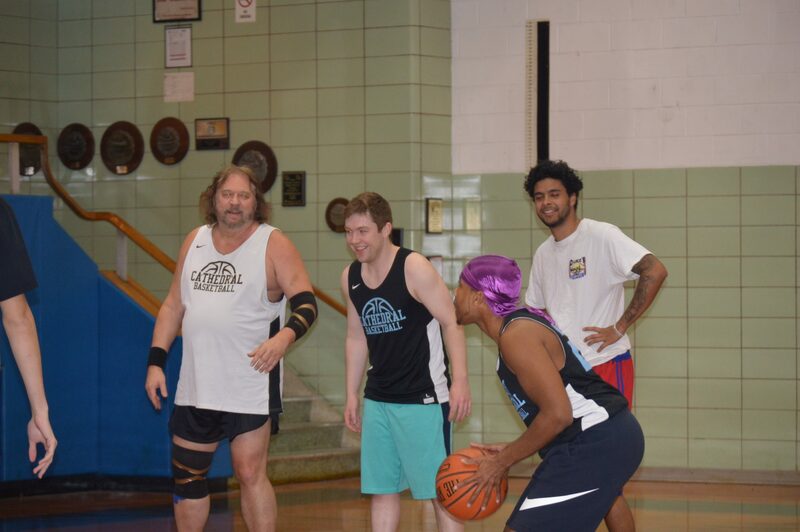 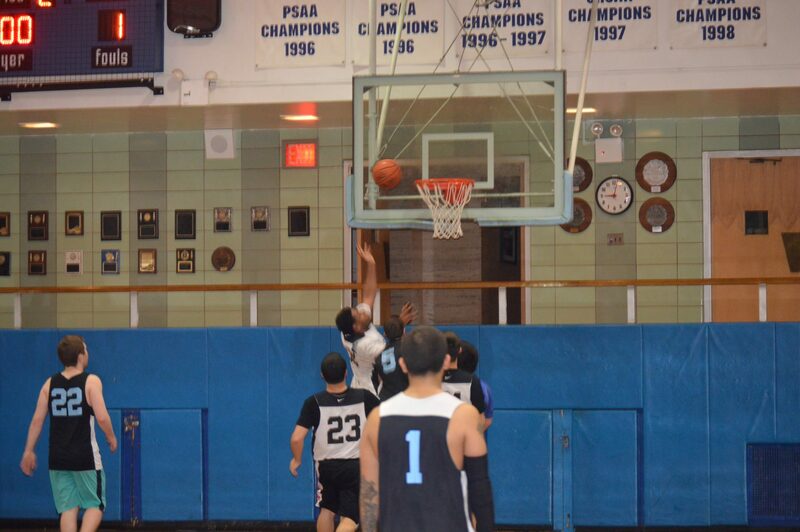 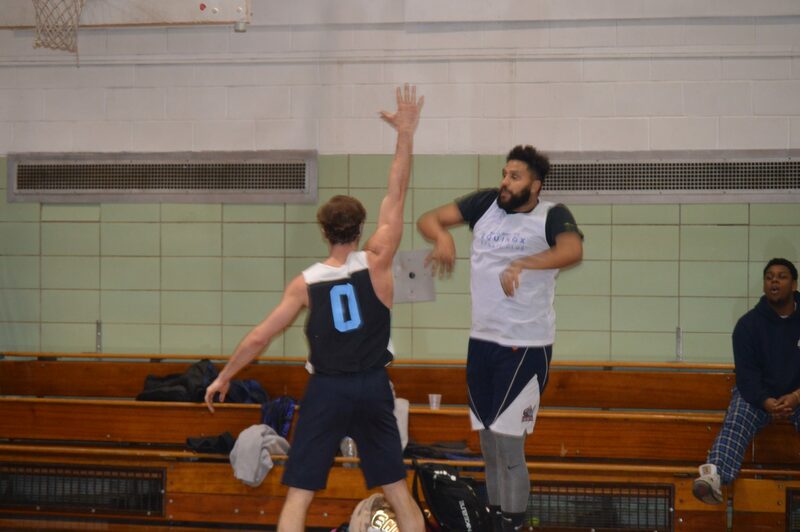 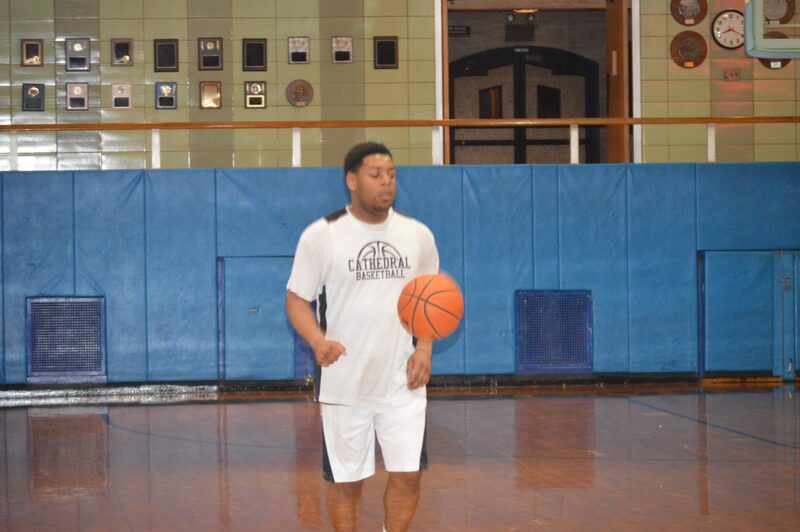 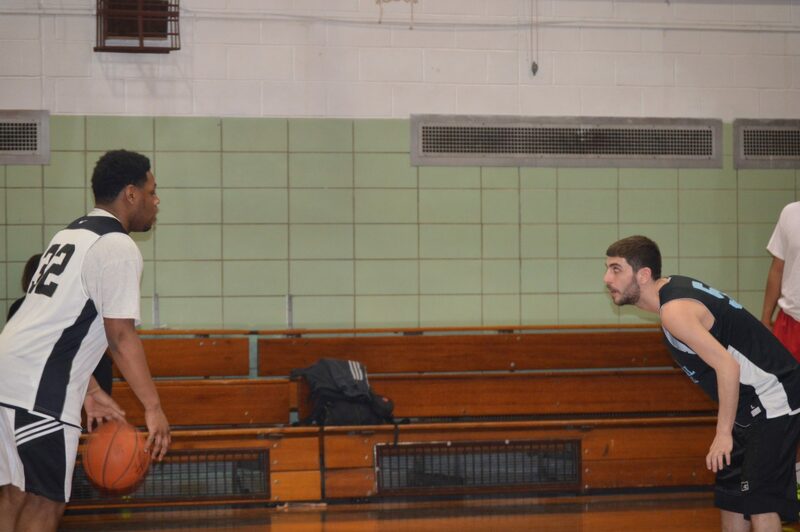 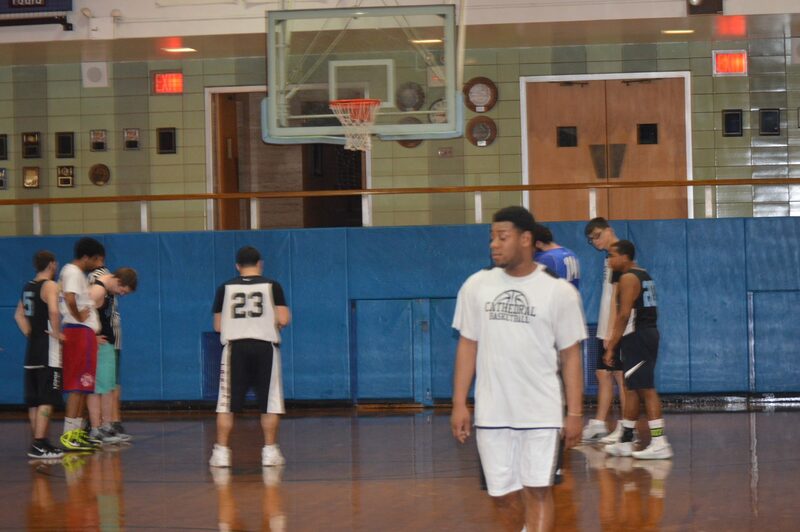 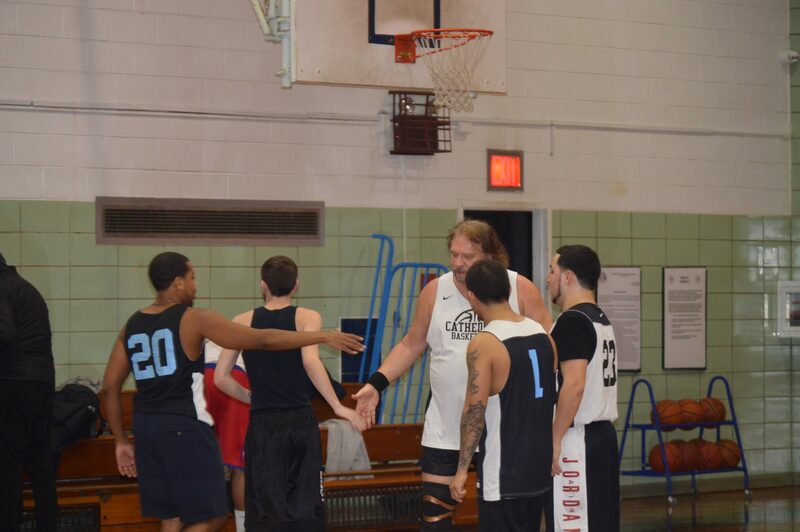 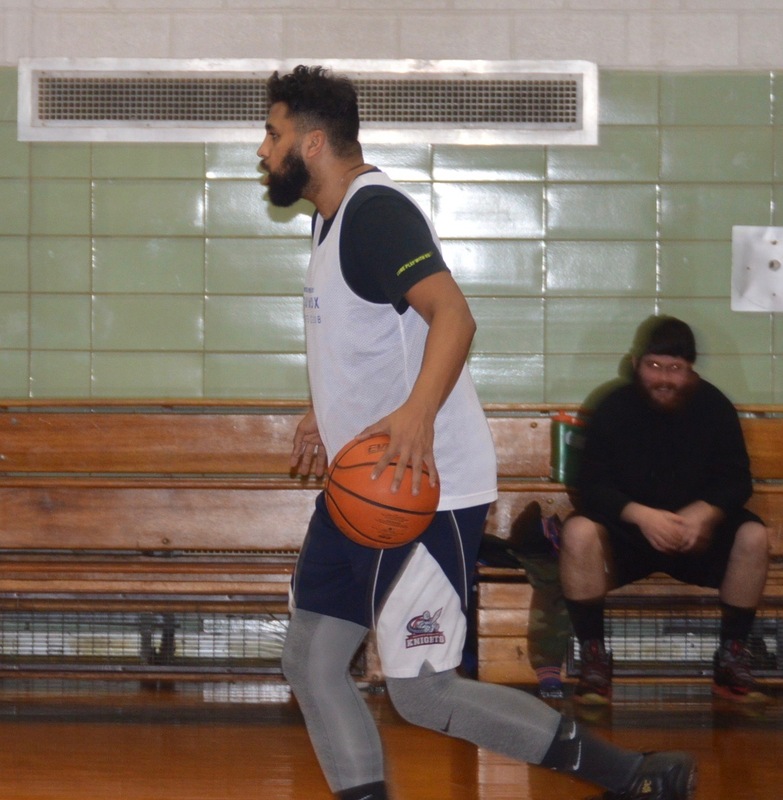 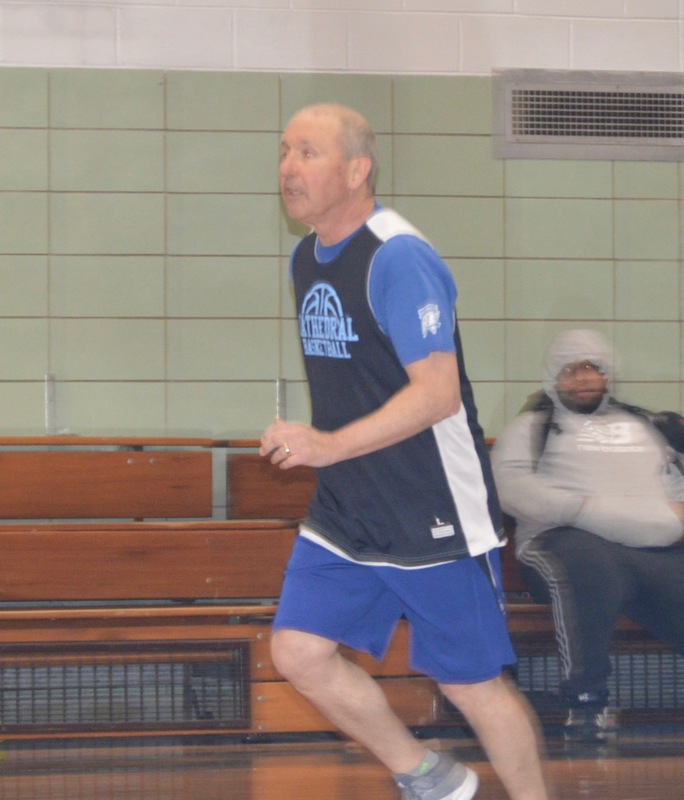 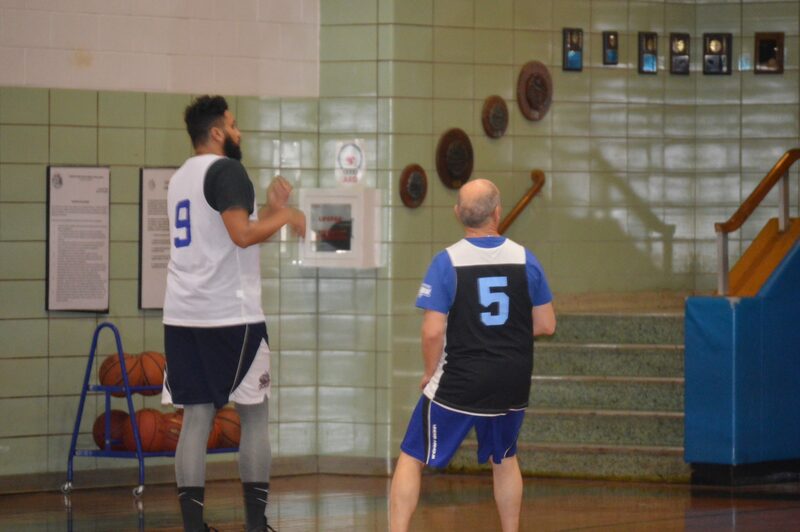 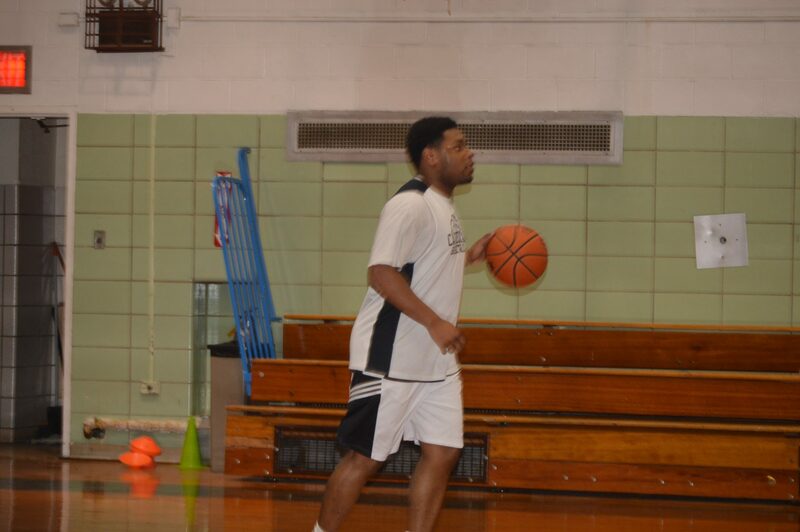 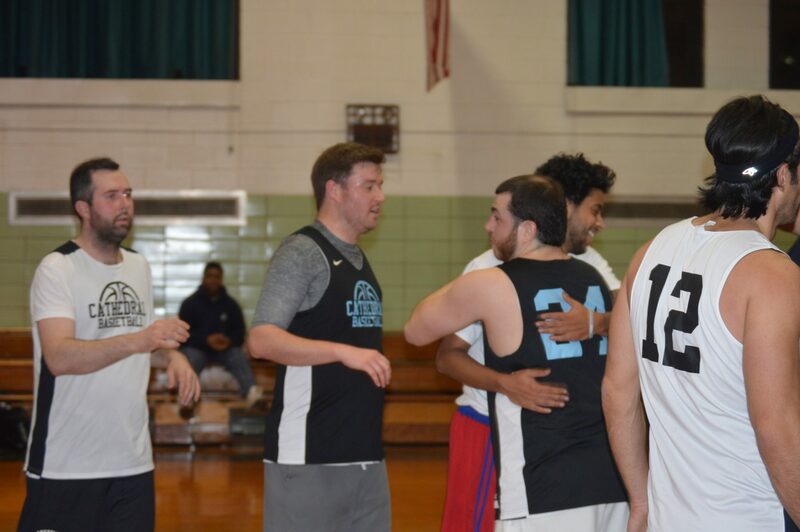 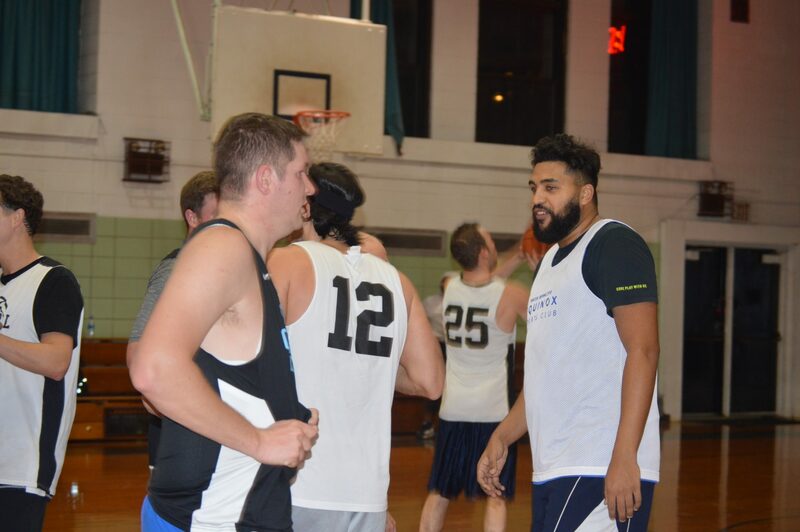 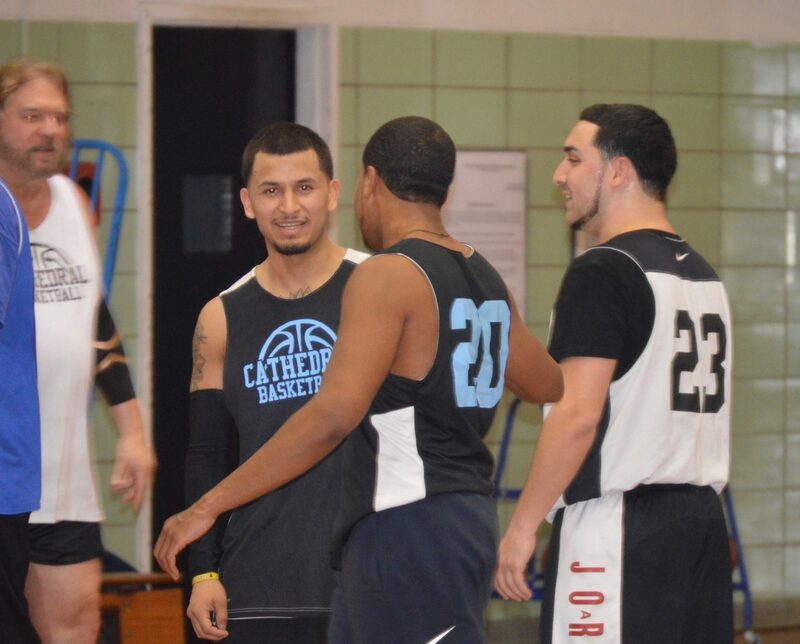 The “New Year” is off to a strong start, if you are not currently on a team and are interested in joining fellow brother alums on the court, please reach out to the alumni office at 718-592-6800, ext 120, or alumni@catehdralprep.org. 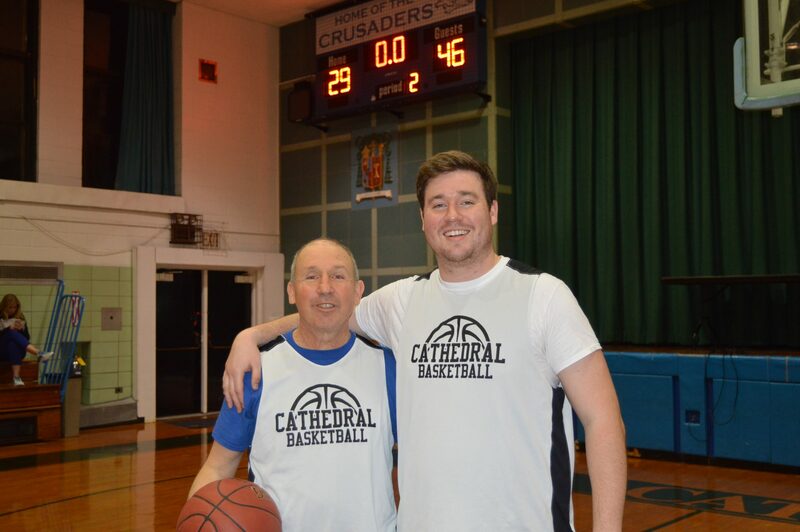 The essence of Cathedral lies within the its fraternity. 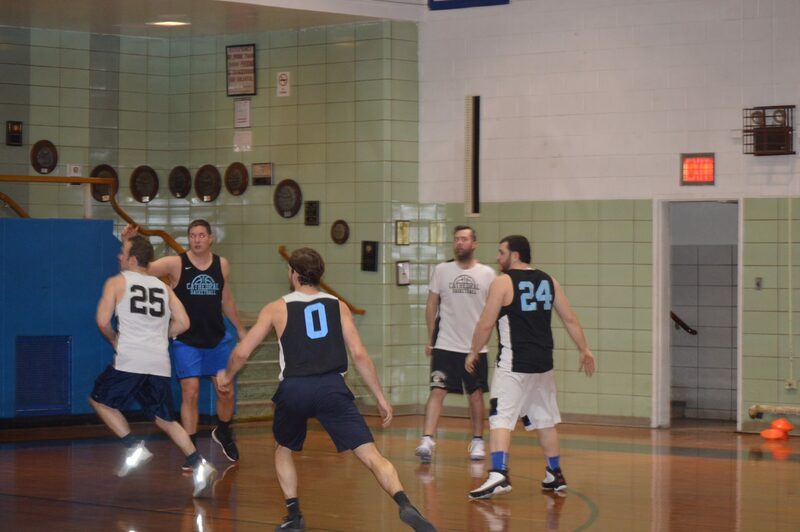 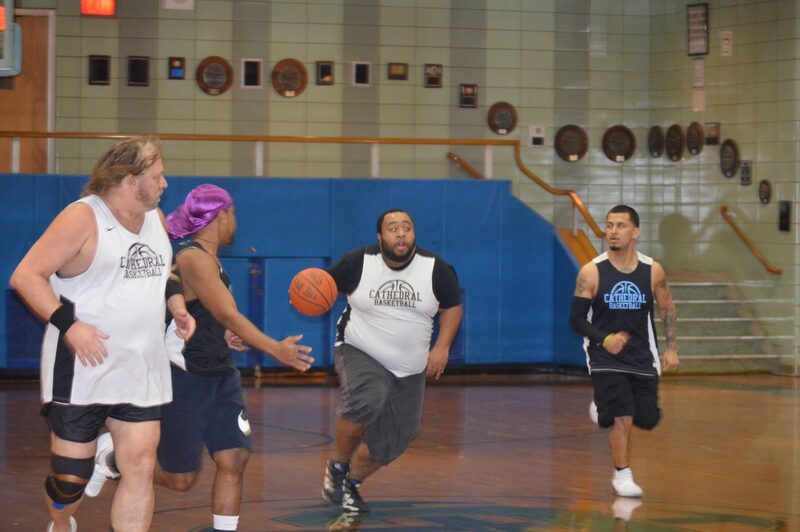 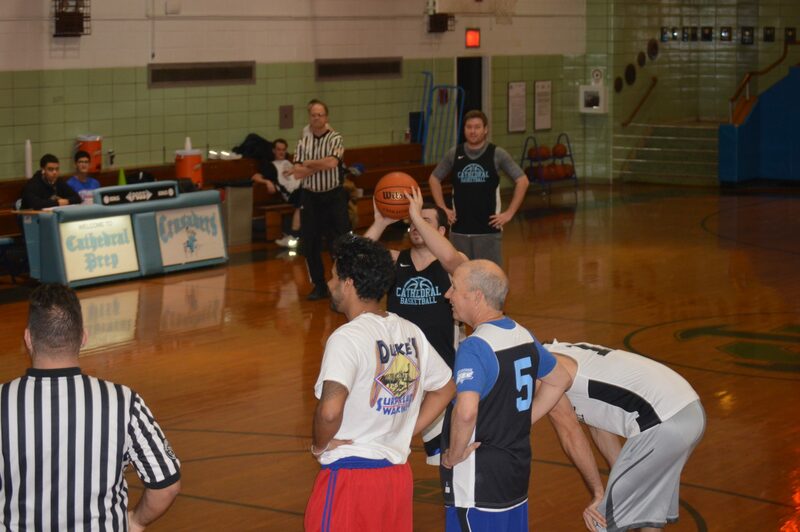 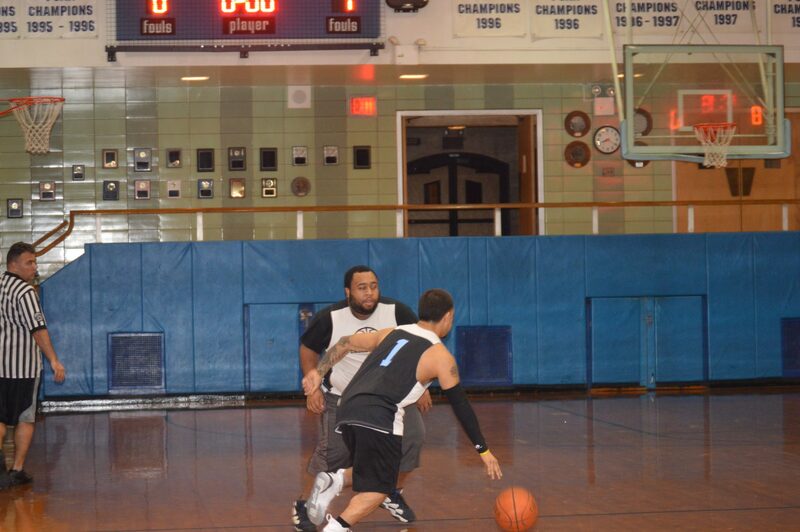 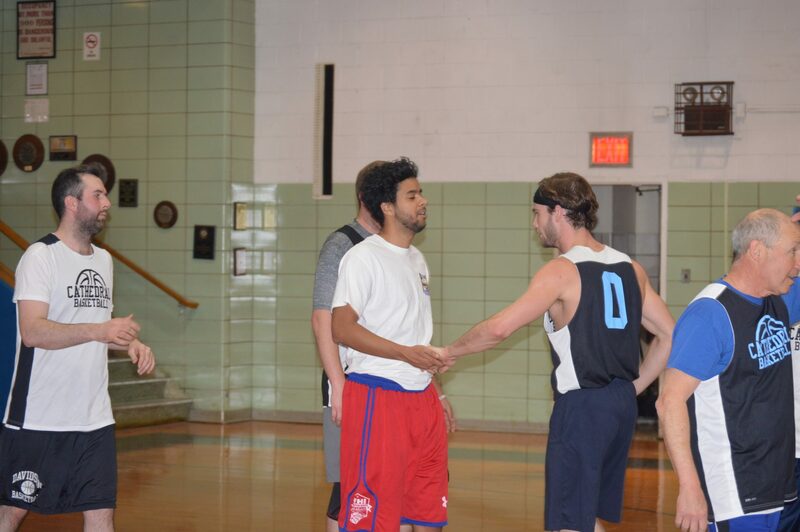 During this year’s Alumni Basketball League, we had two sets of brothers play along side each other, as well as a father-son team. 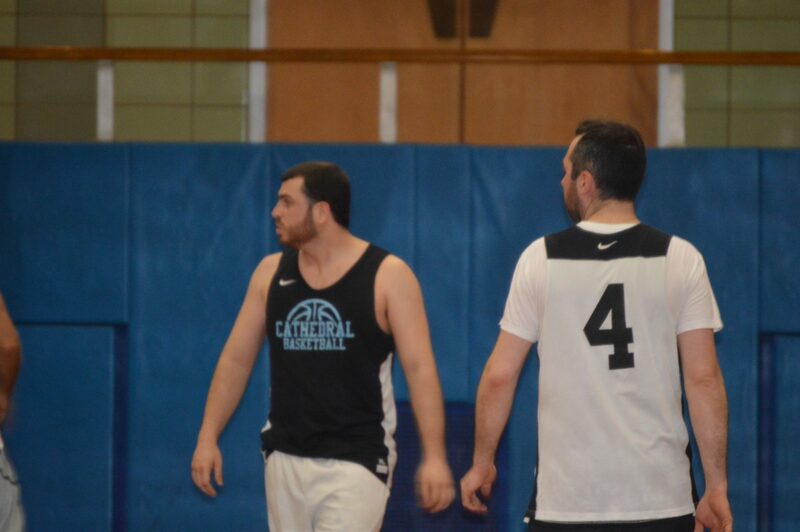 Never able to play on the same team in their high school years, finally these duos had the chance to hit the court together and make the best out of it! 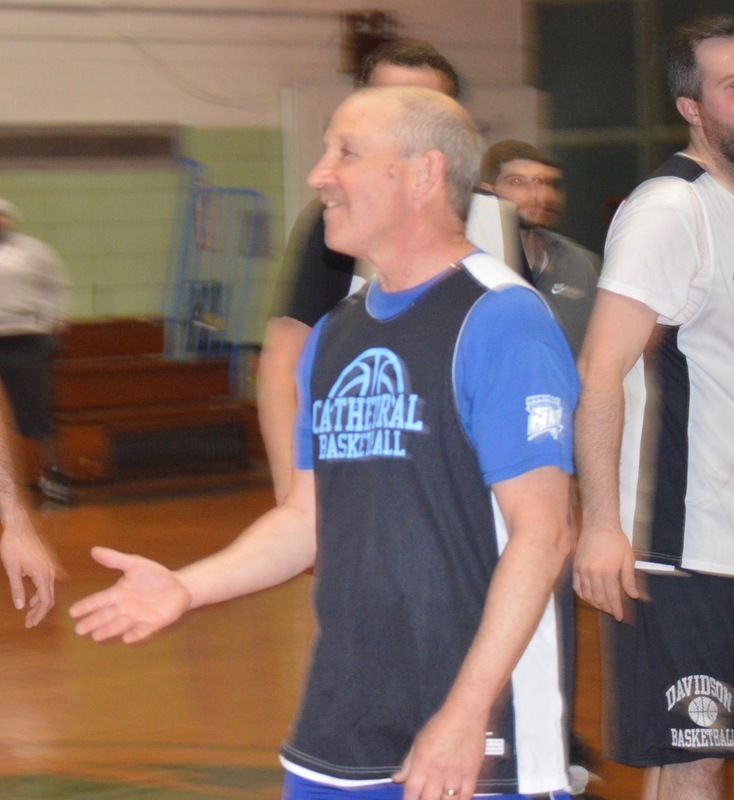 On Wednesday, January 11, 2017, the CABL’s 2017 season kicked off at Cathedral. 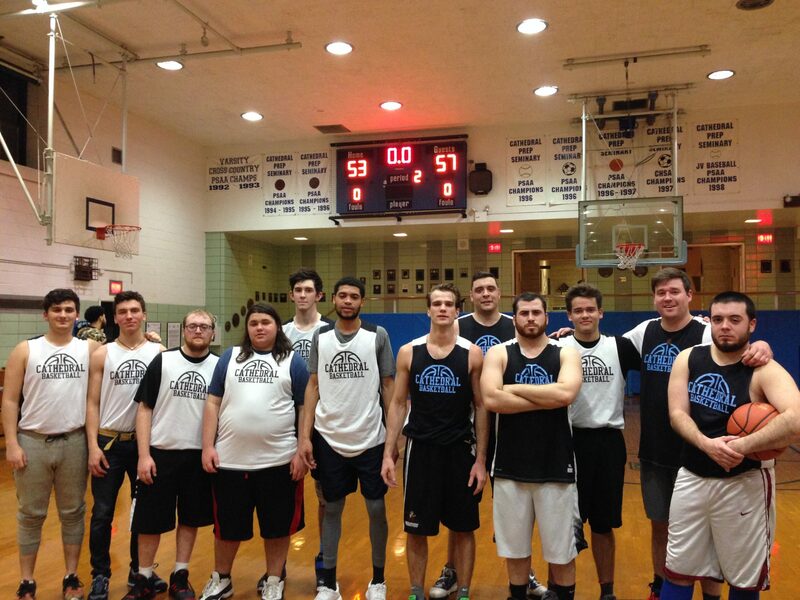 Defending Champs open season with a win! 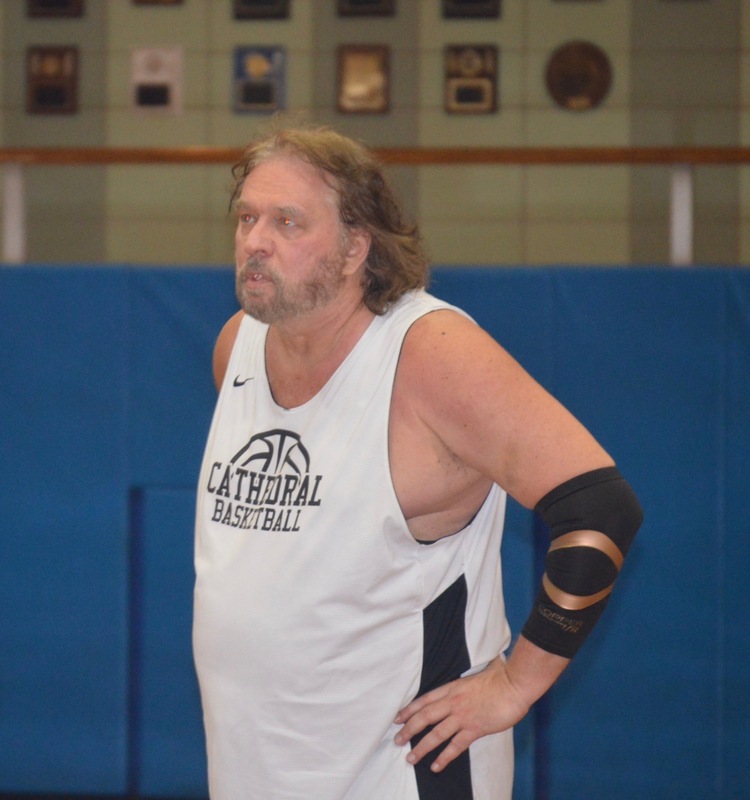 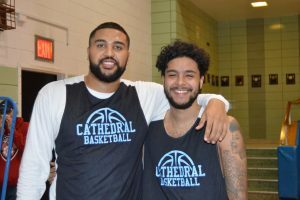 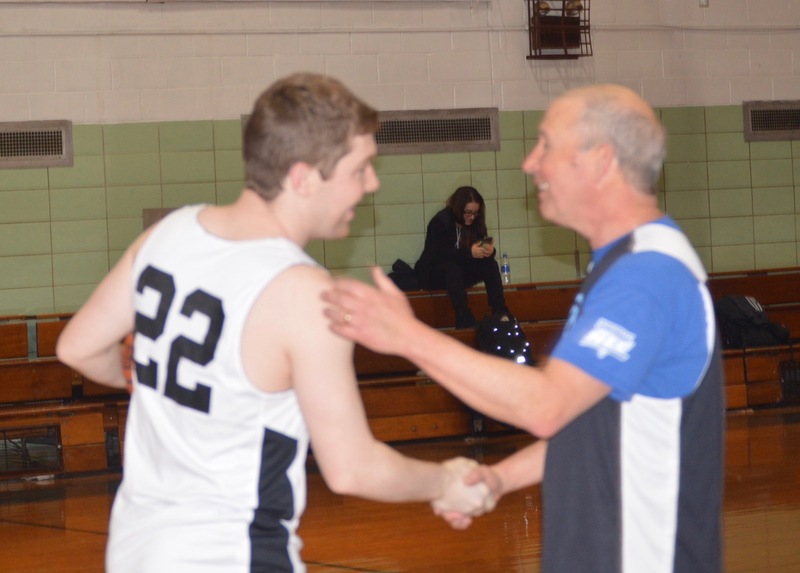 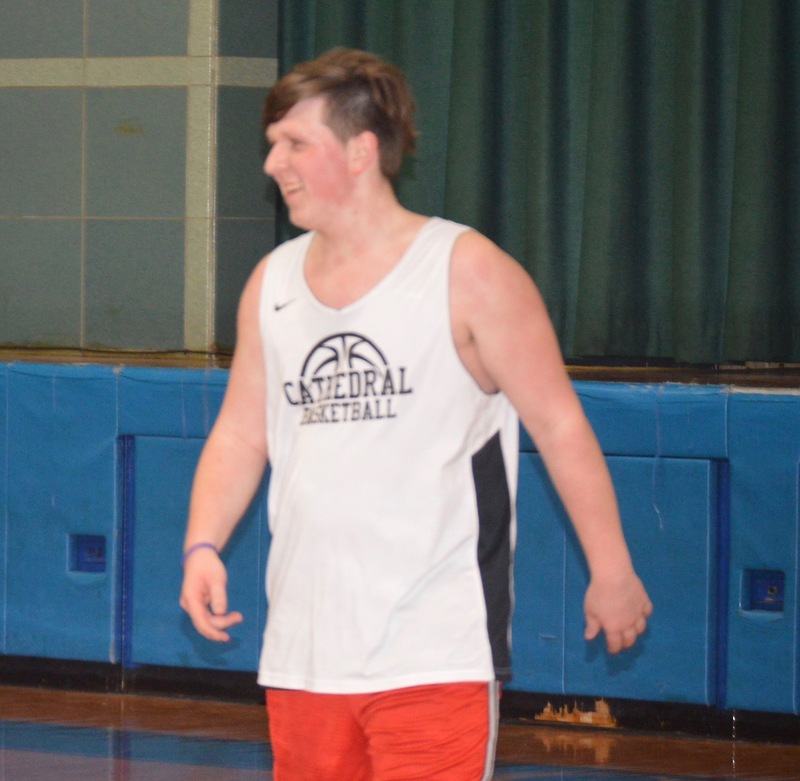 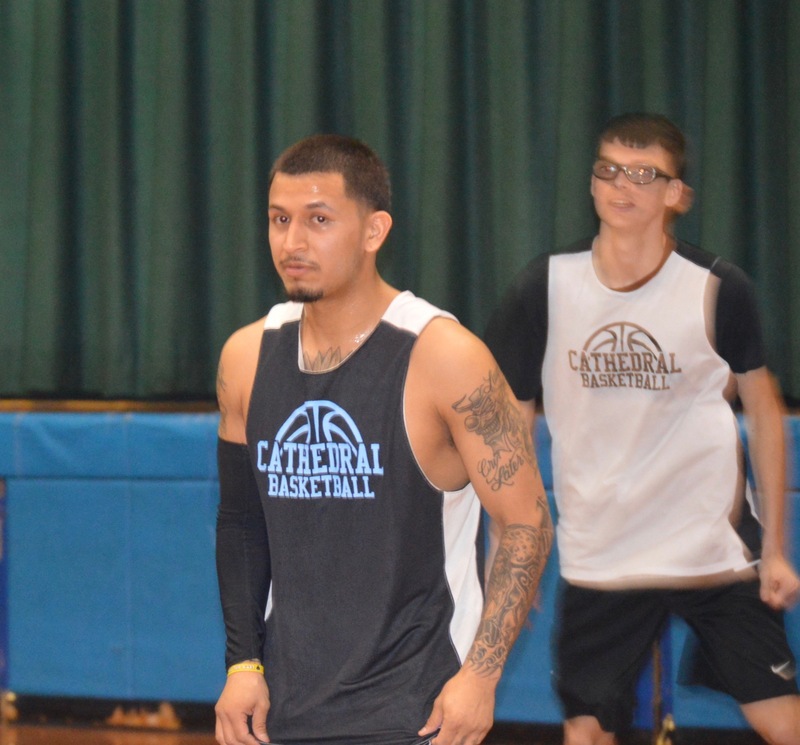 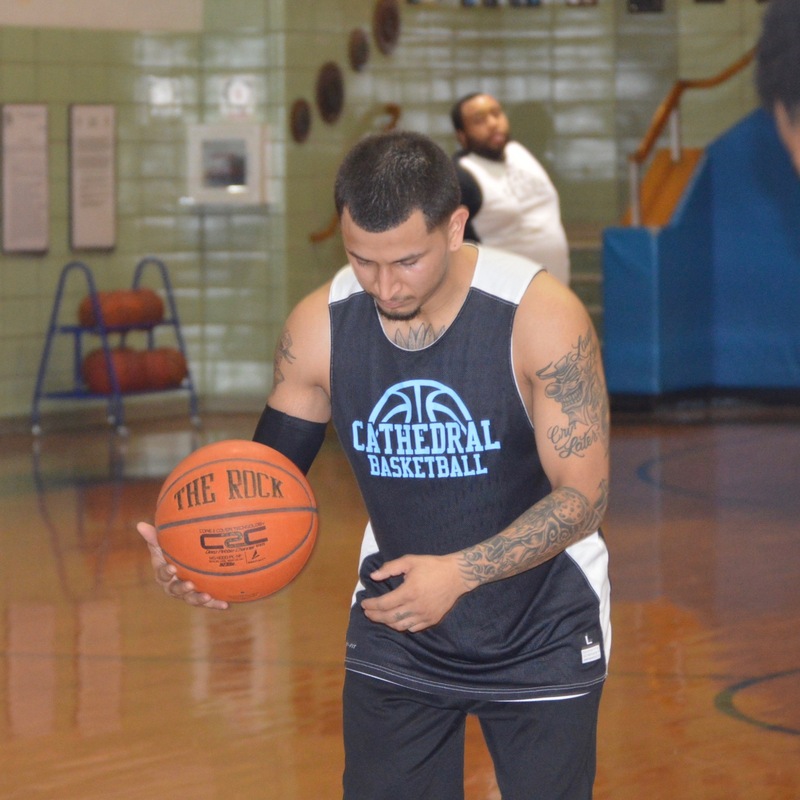 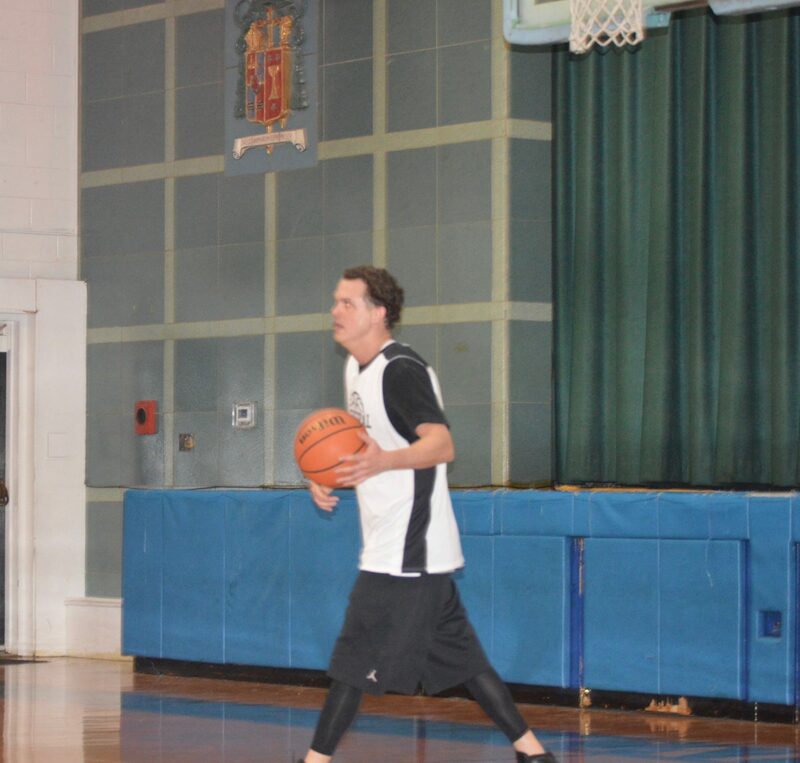 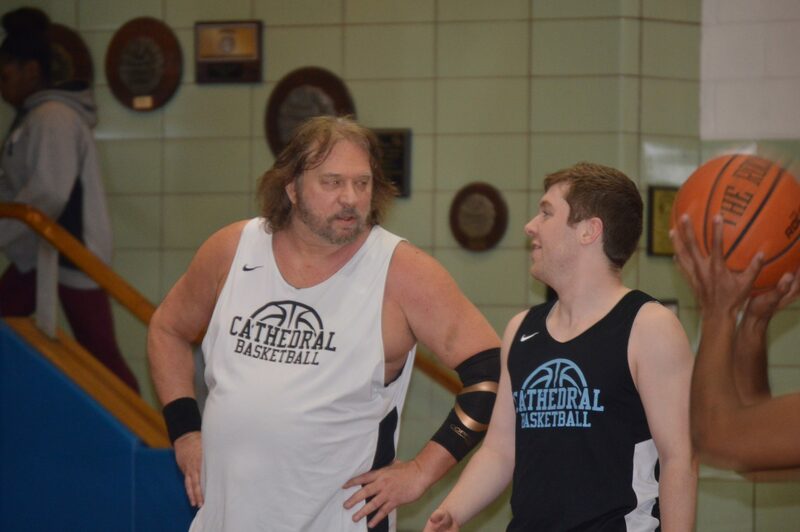 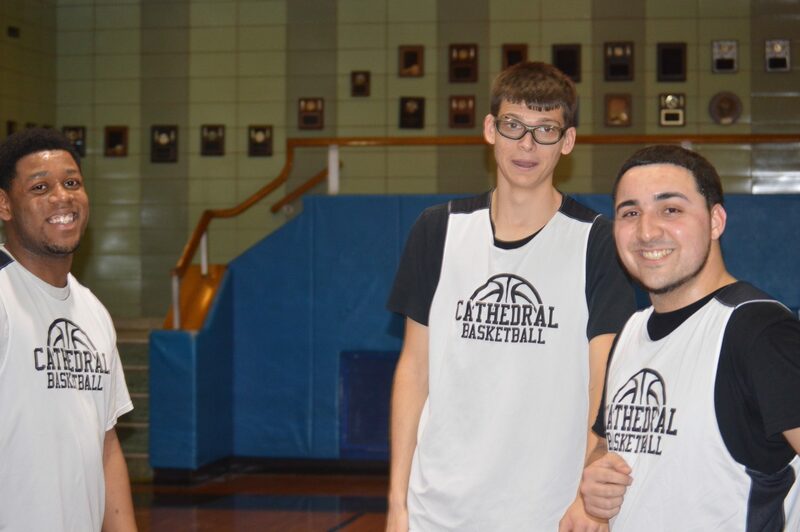 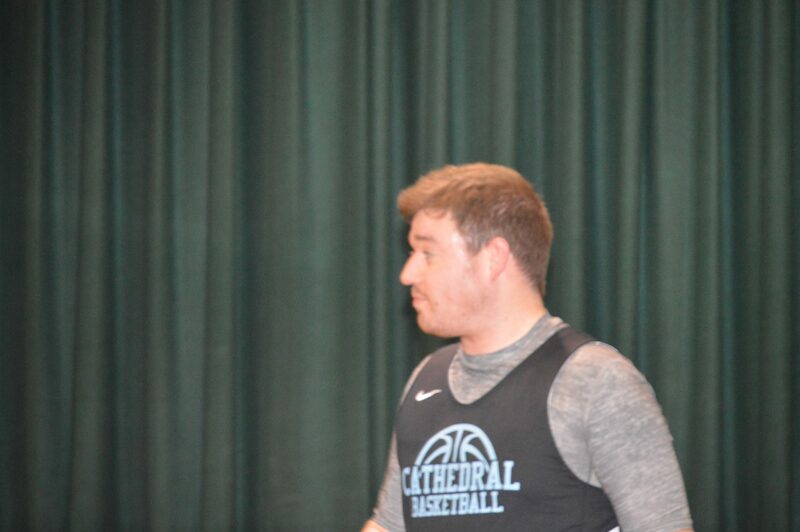 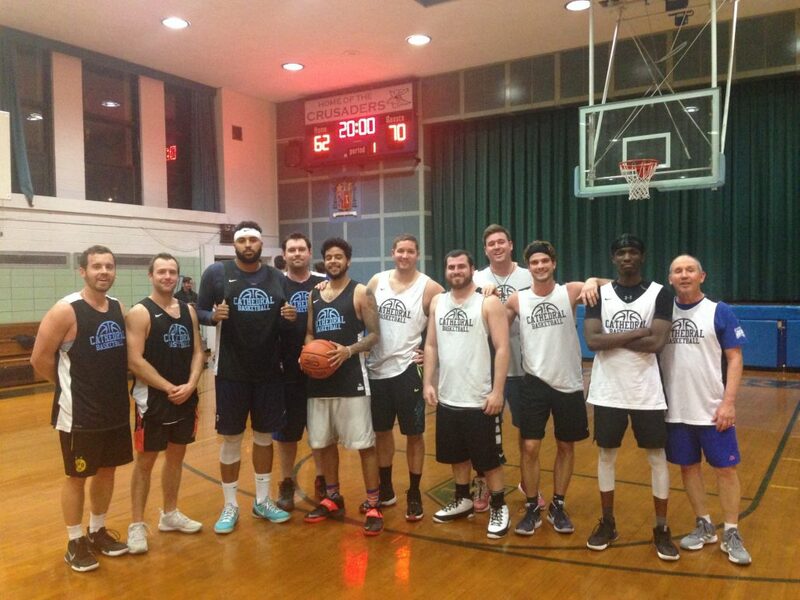 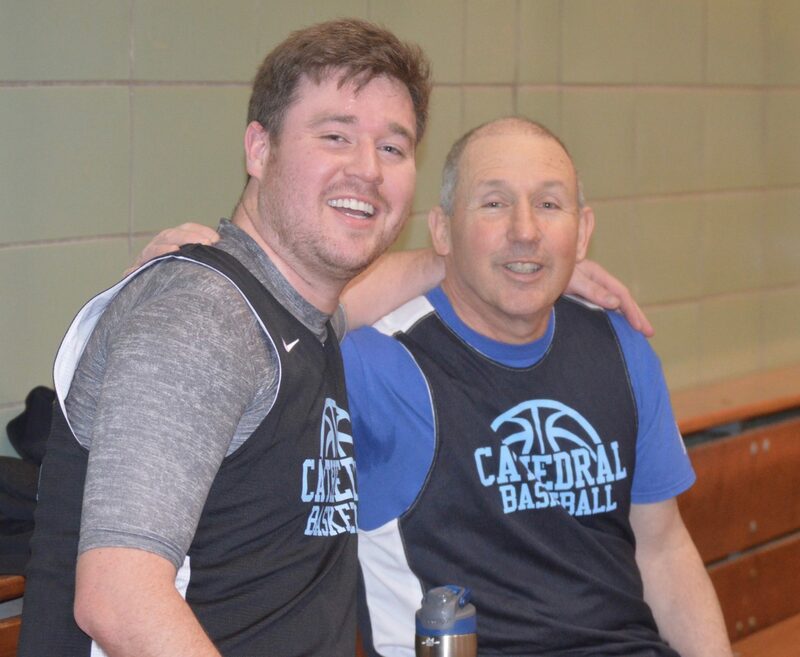 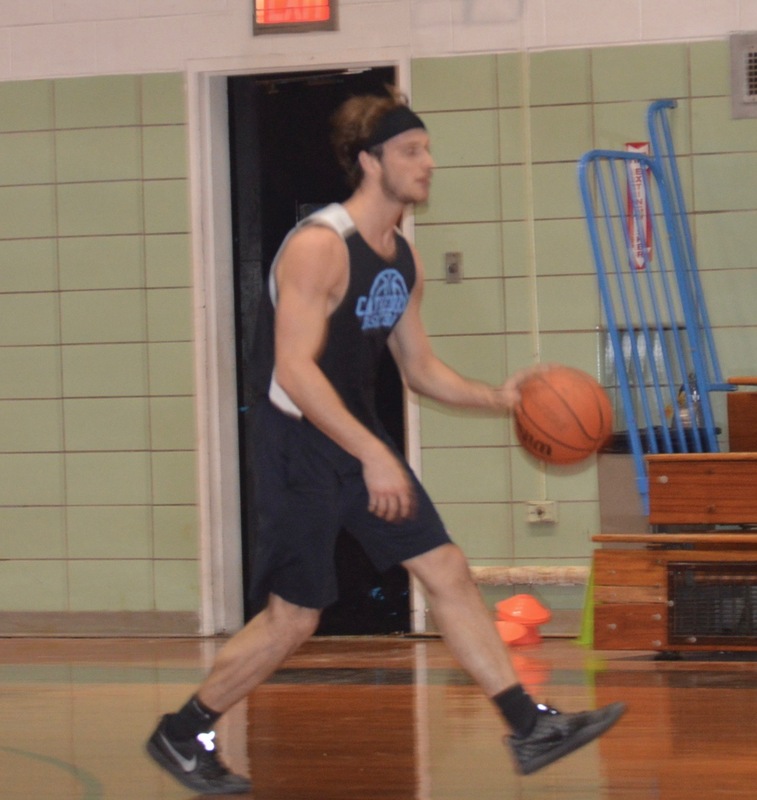 The Knights of Cathedral Prep won their 2017 Cathedral Alumni Basketball League opener in a rematch of last year’s Championship game vs. the Warriors of St. Michael. 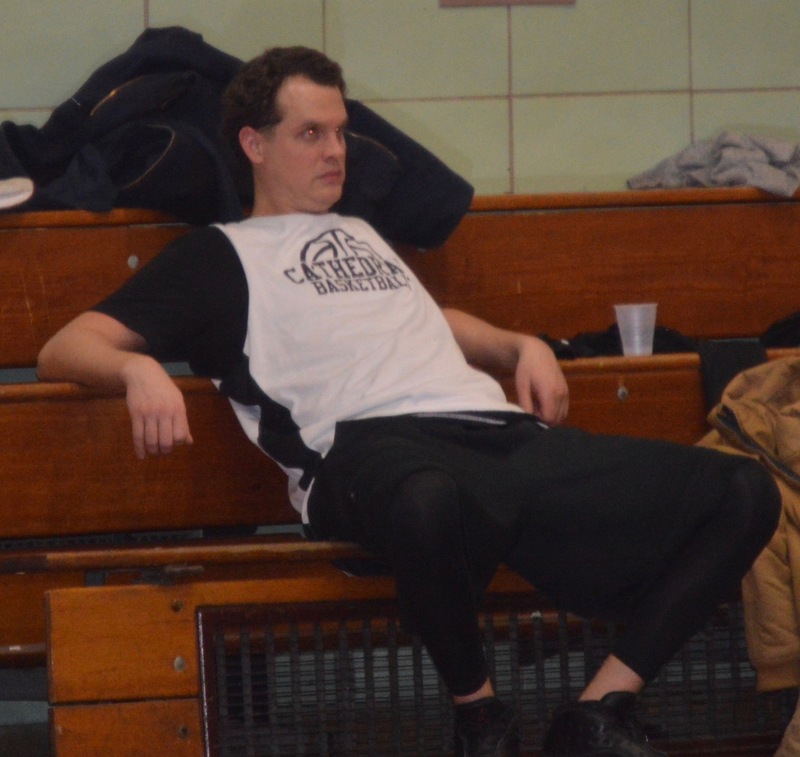 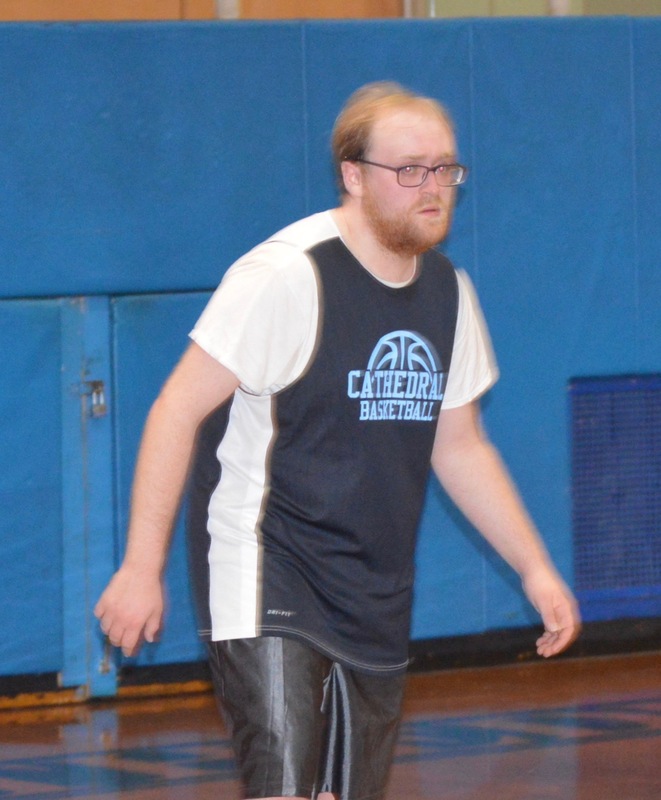 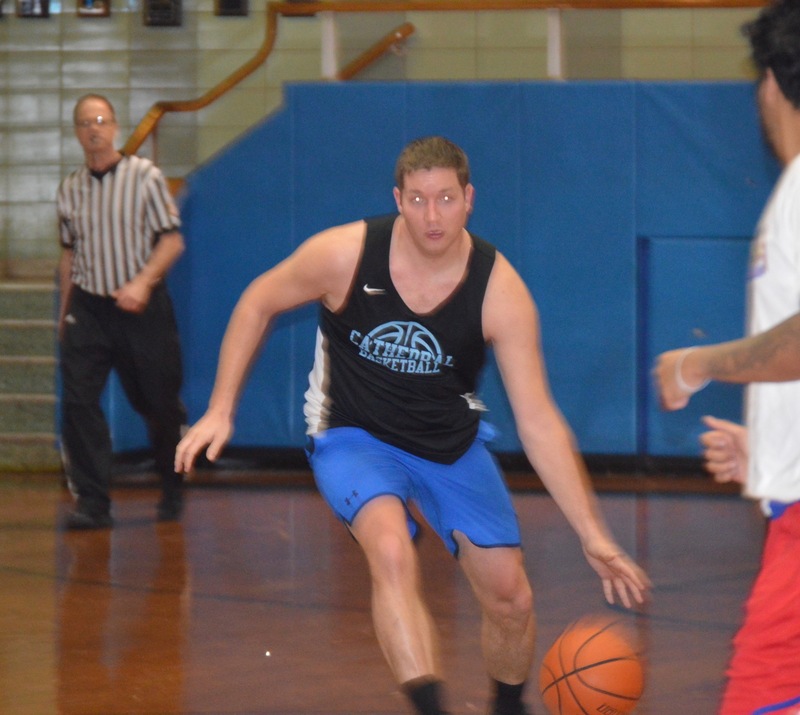 After a tight first half (45-43), the Knights pulled away earlier in the second half led by Mike Liander, ’05, who had a game high 44 points. 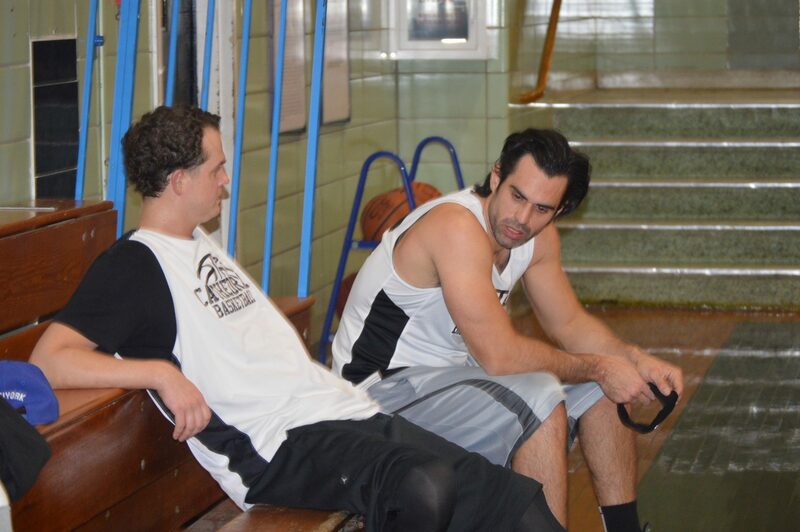 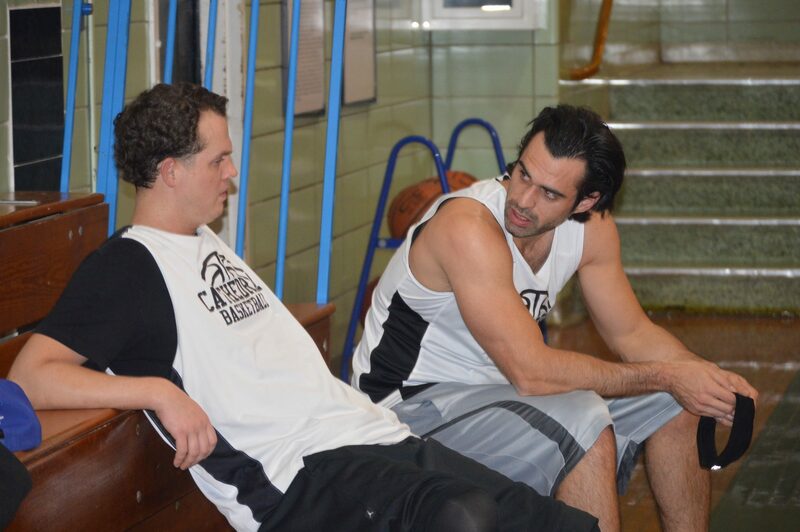 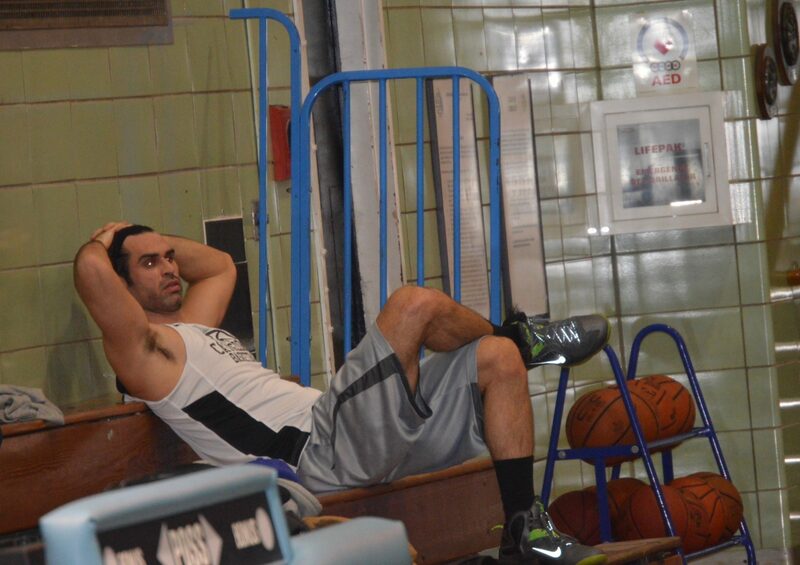 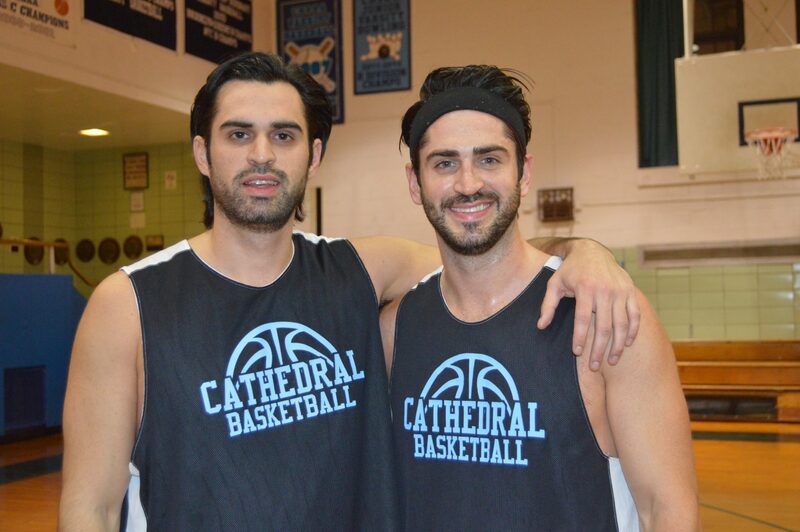 JT Sprague, ‘05 & Sal Candela, ’02, scored 22, and Chris Liander, ‘10 added 14. 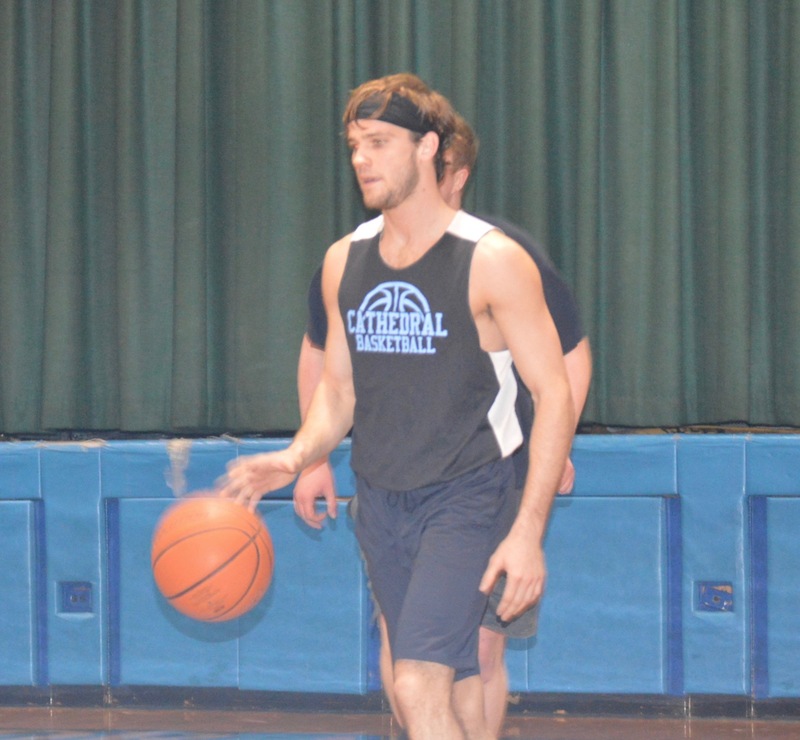 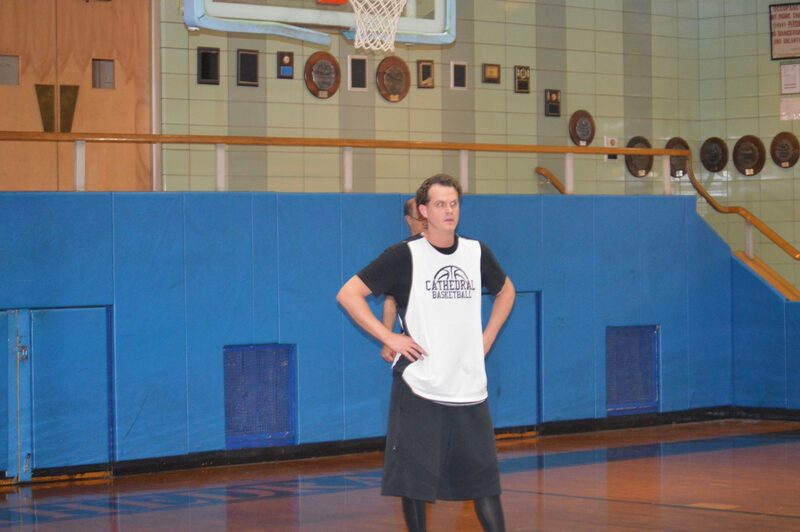 Thomas Czaplinski, ’01 led the Warriors with 18 points. 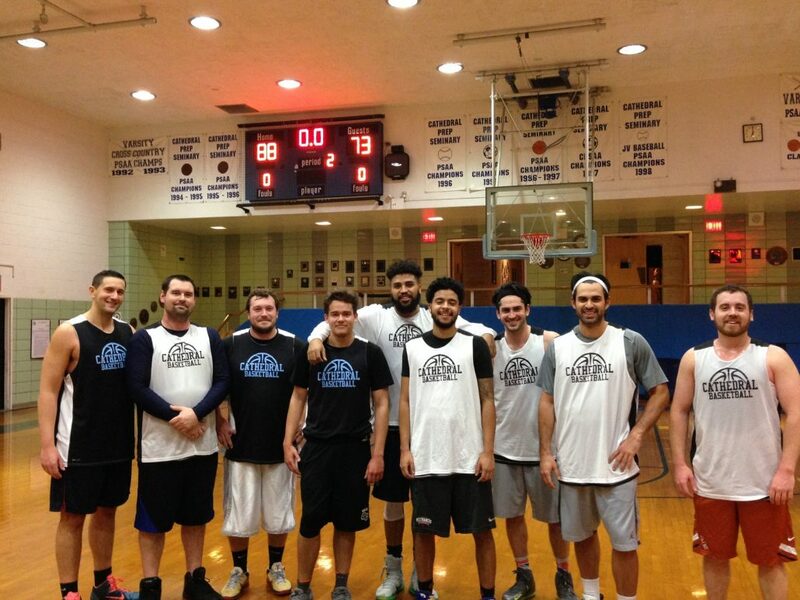 The final score was 88-73. 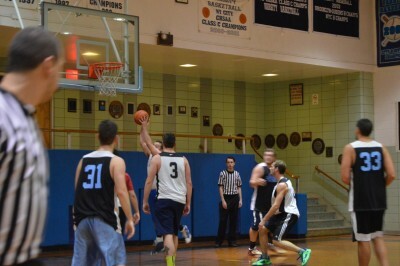 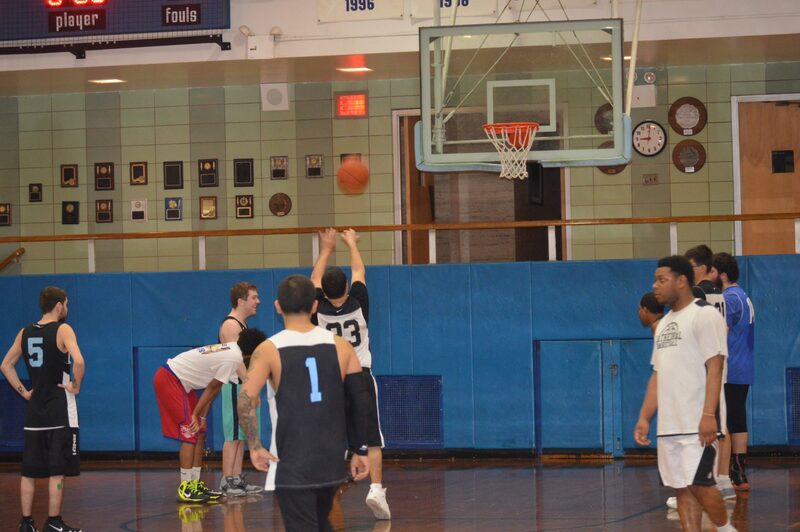 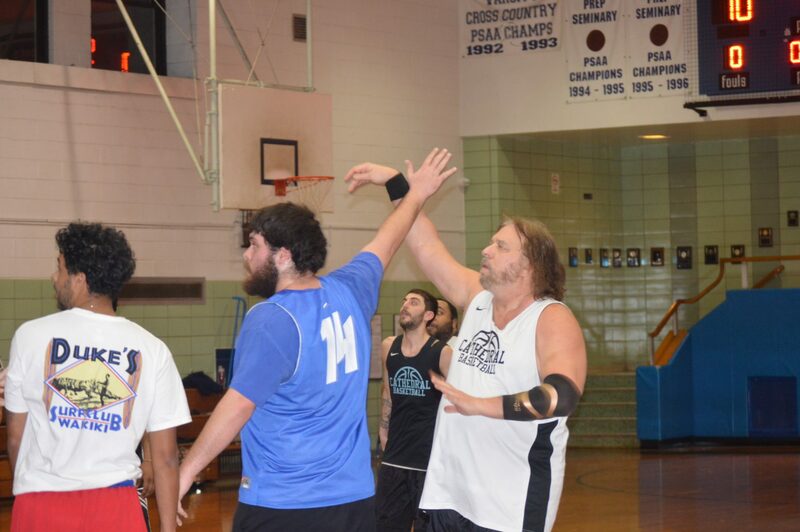 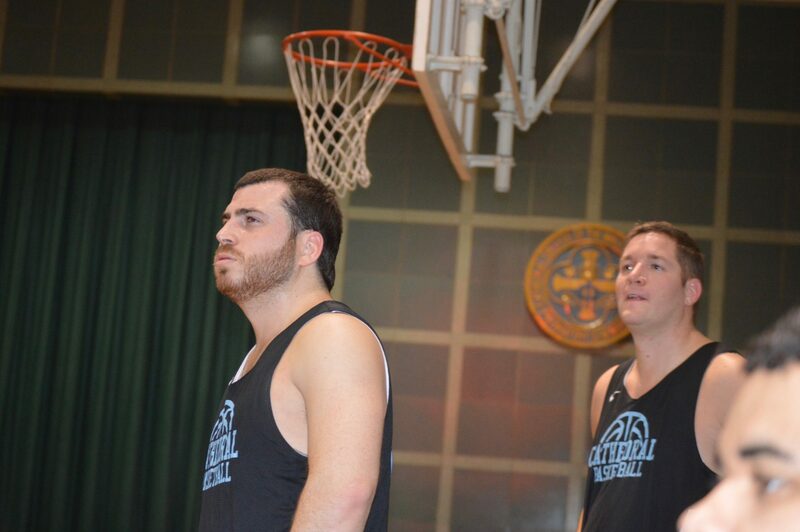 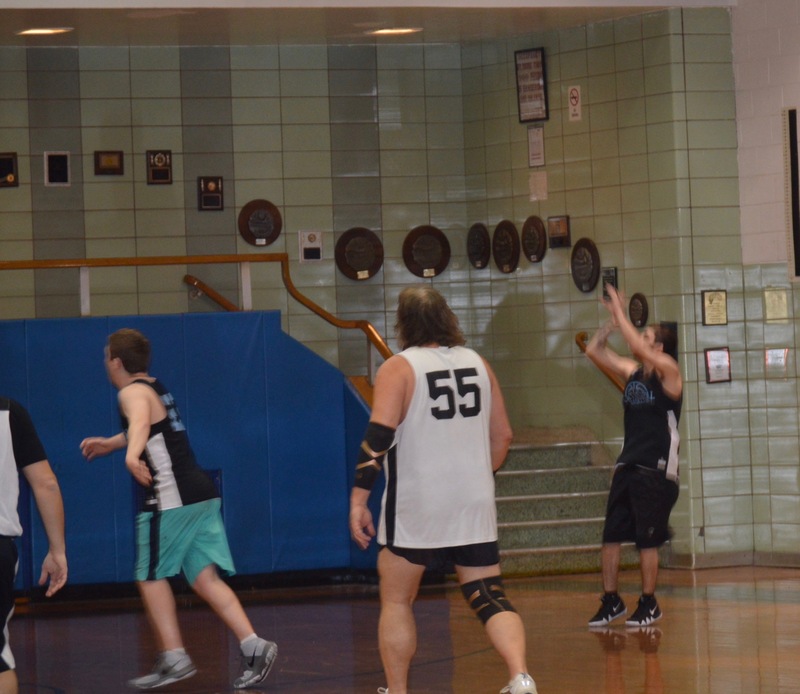 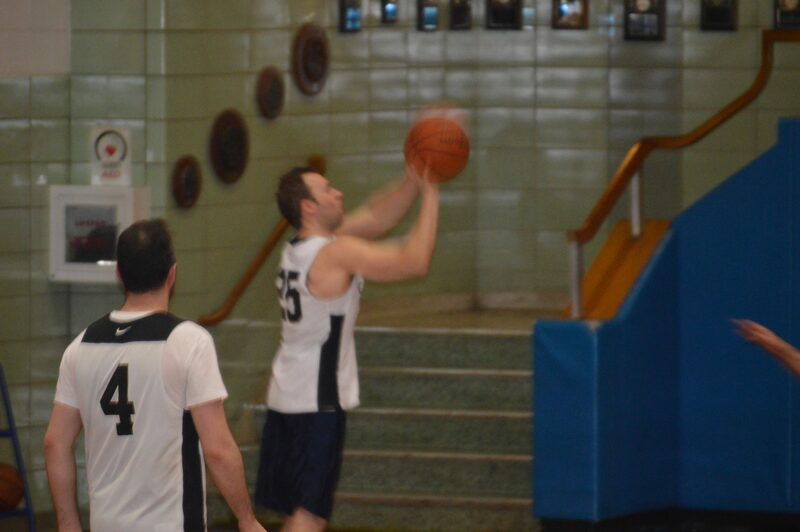 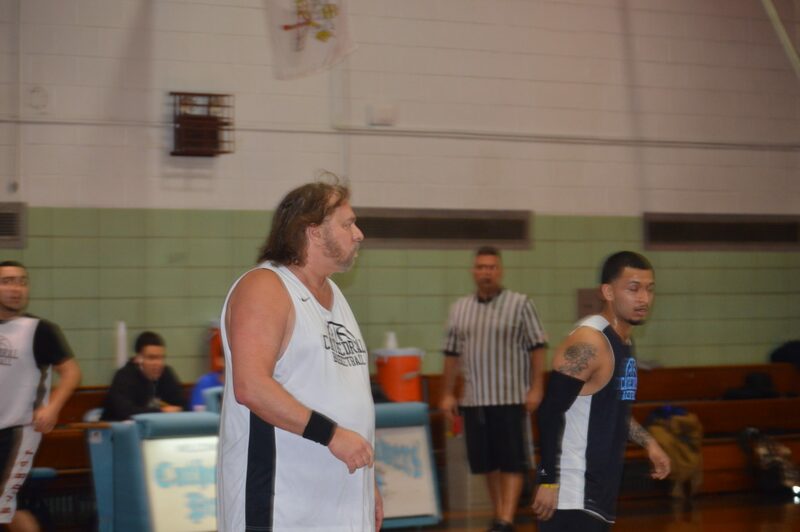 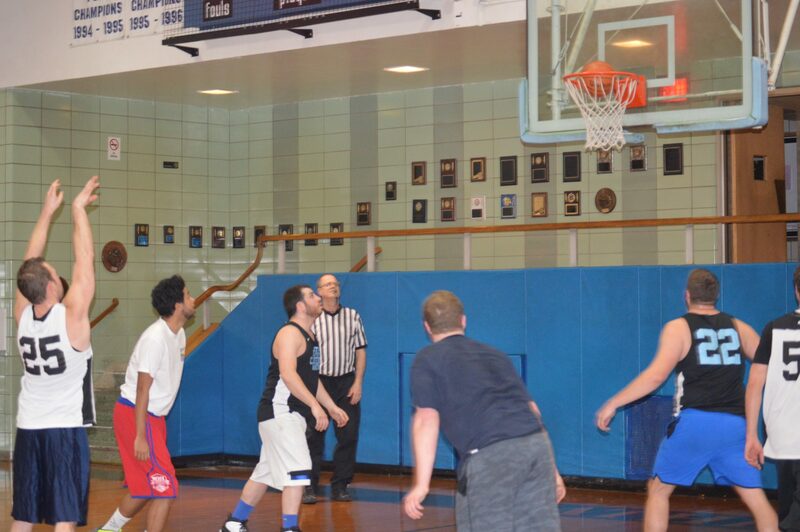 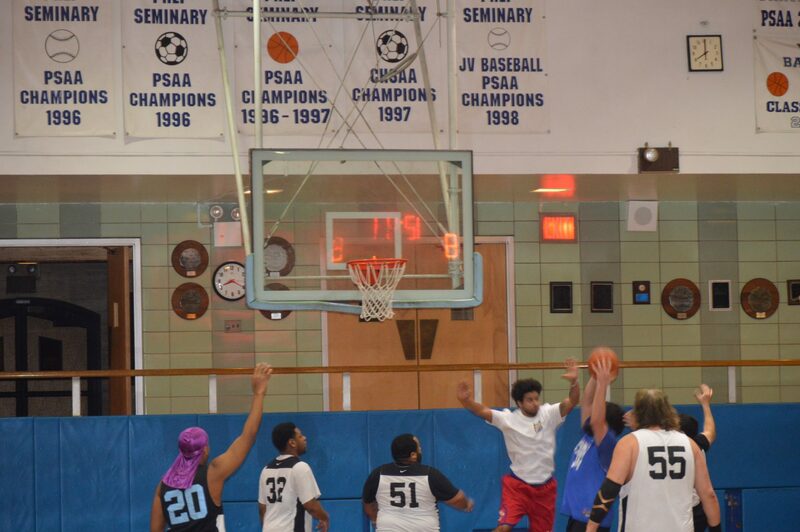 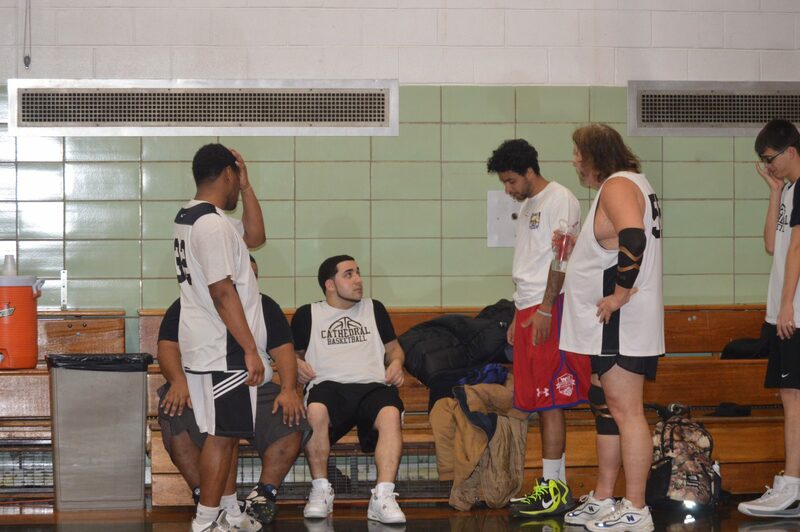 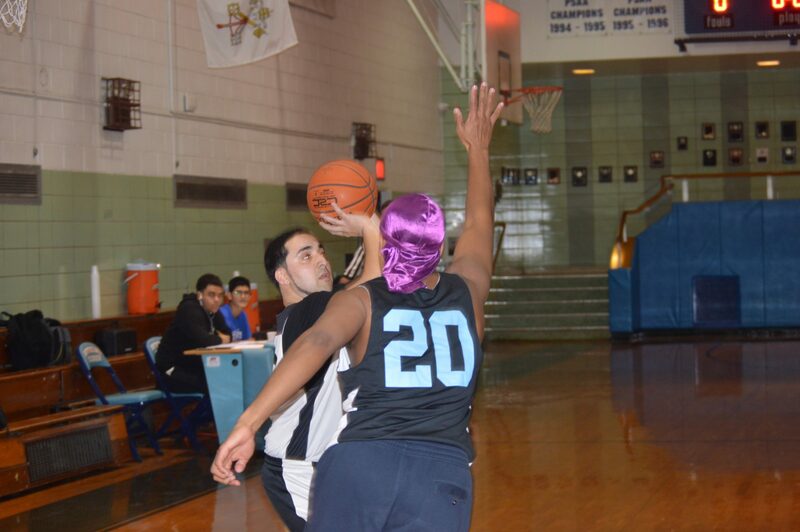 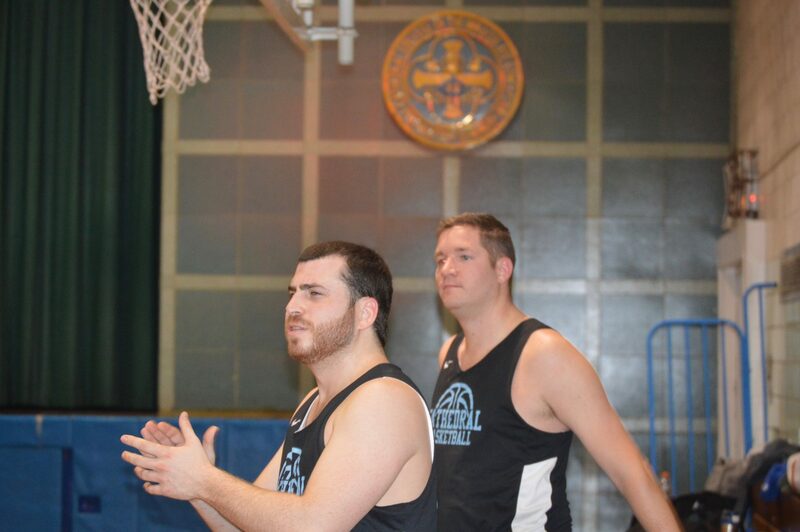 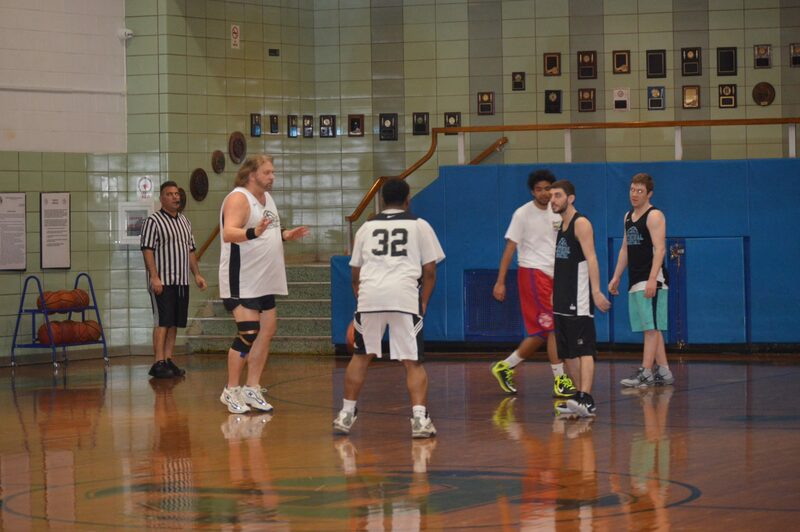 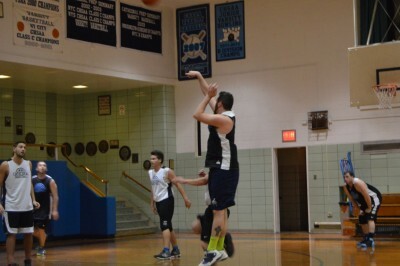 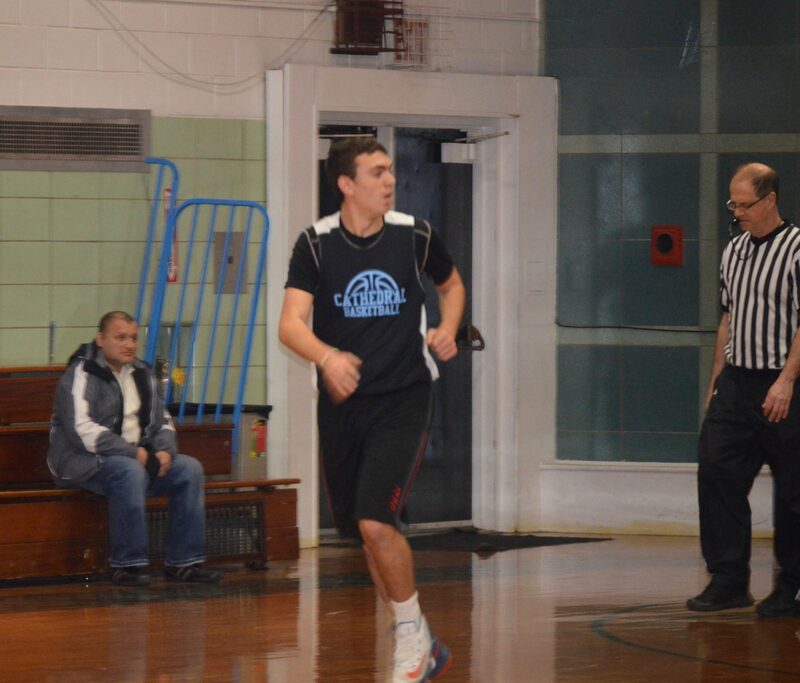 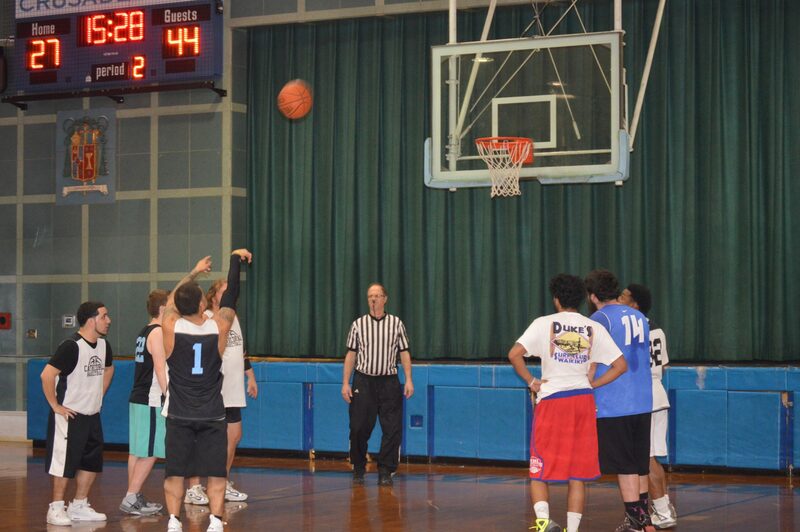 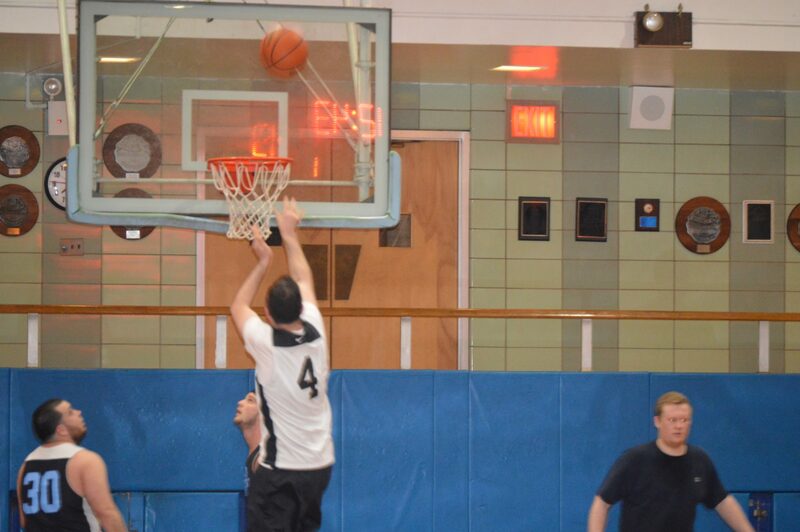 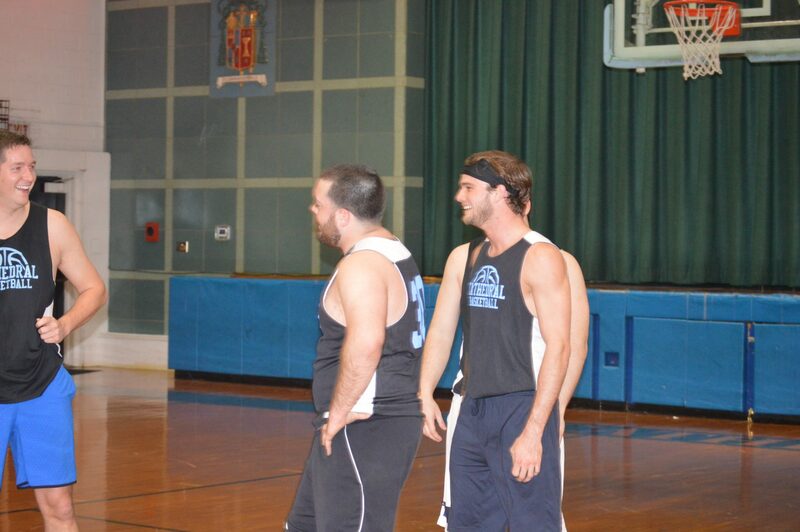 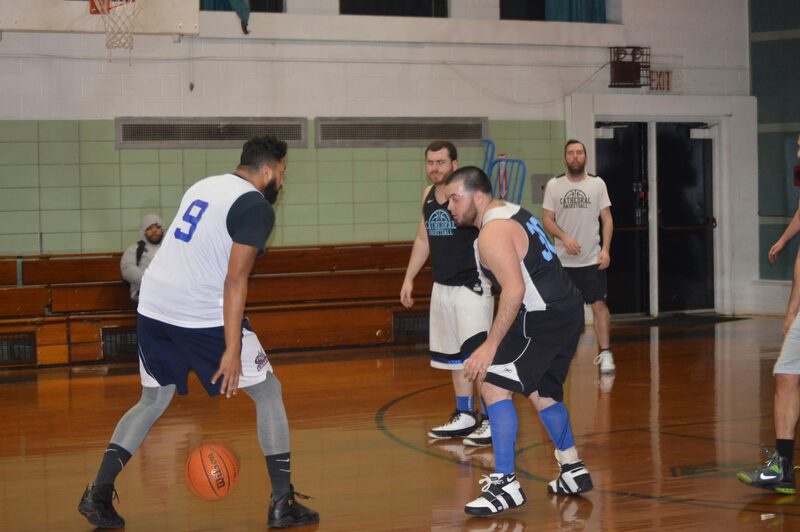 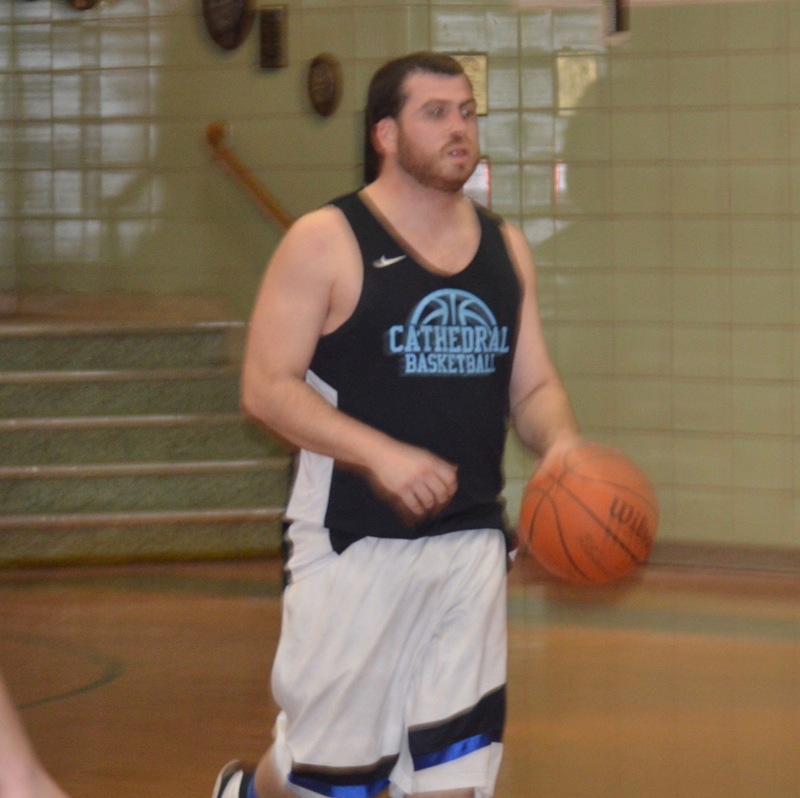 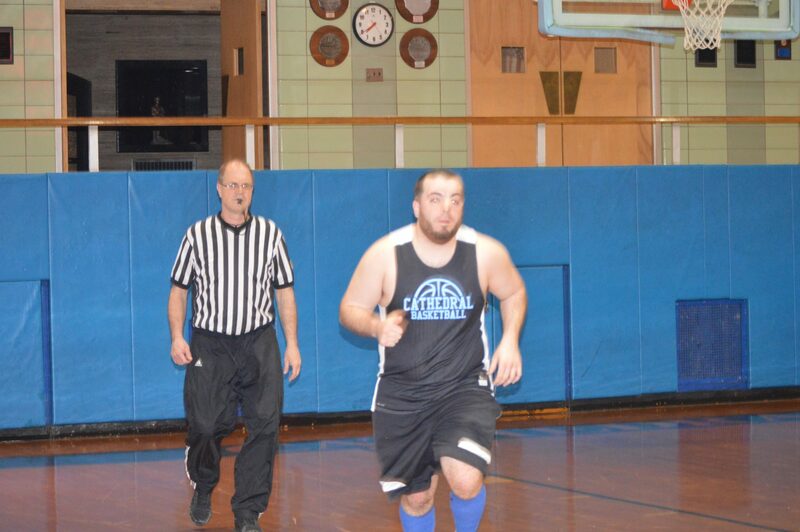 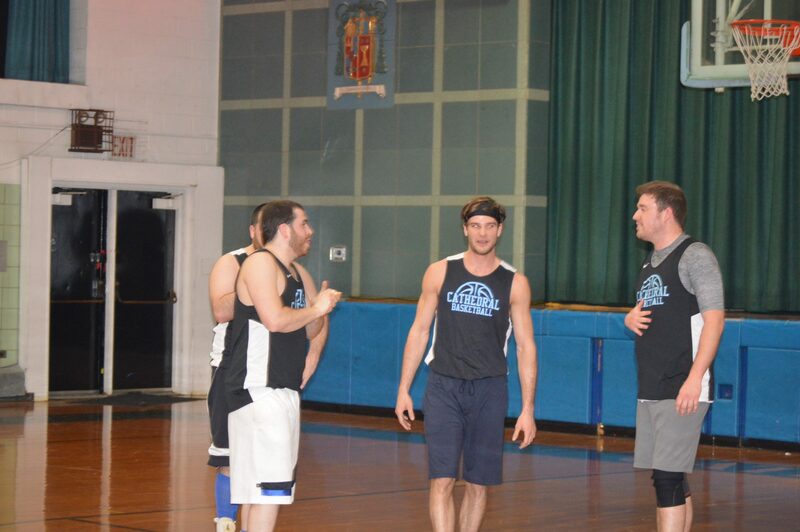 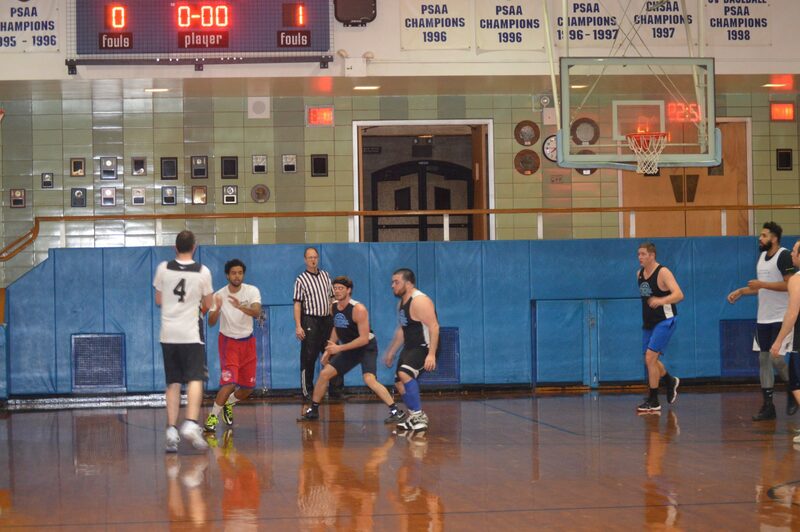 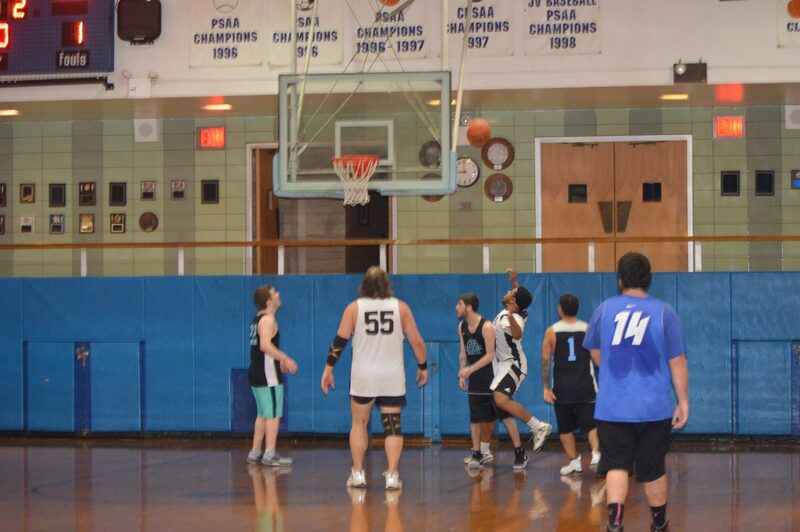 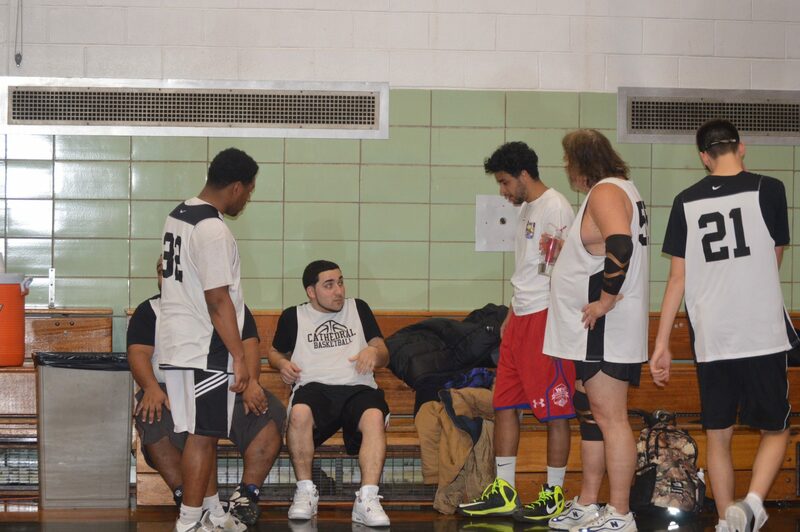 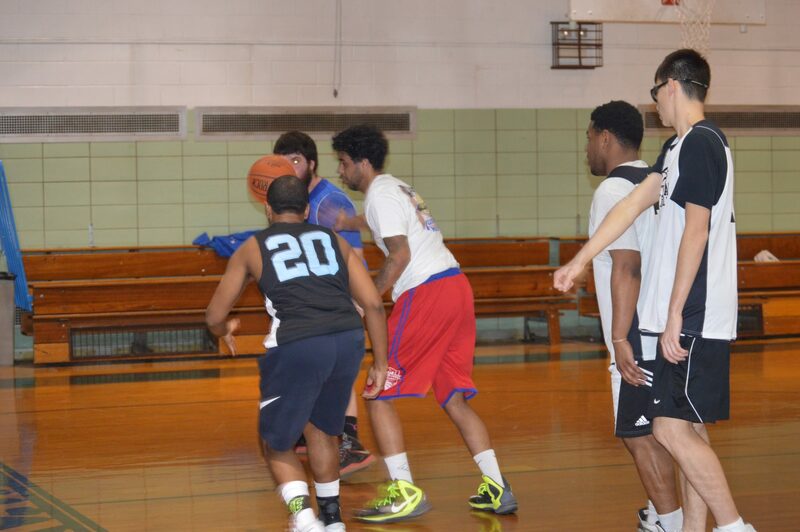 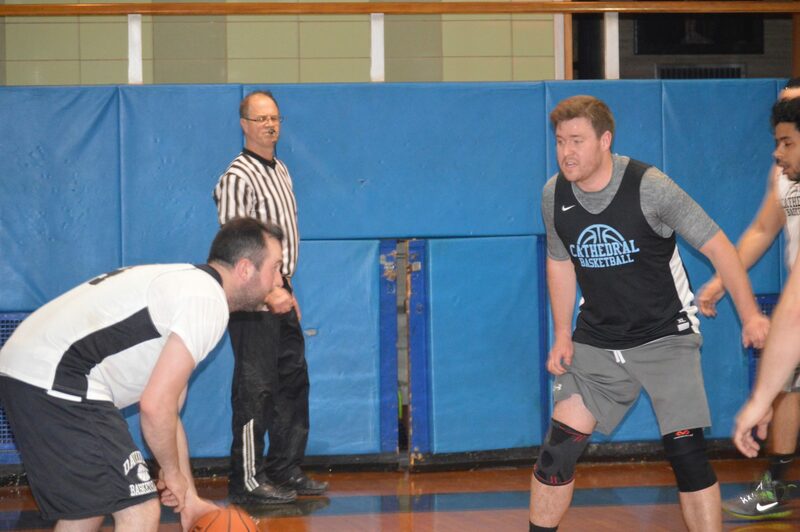 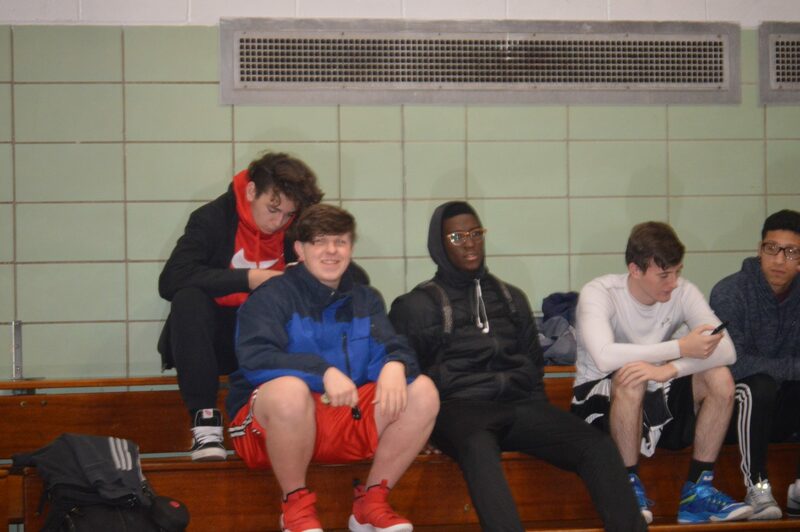 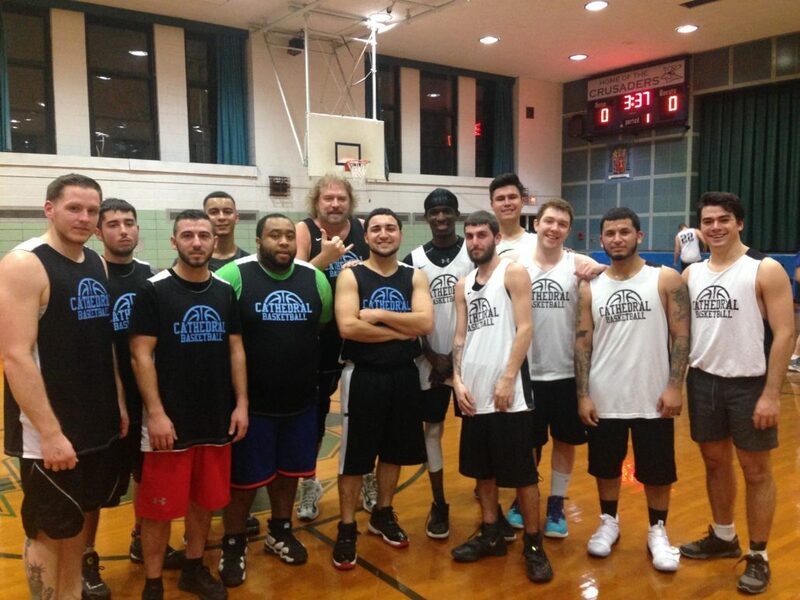 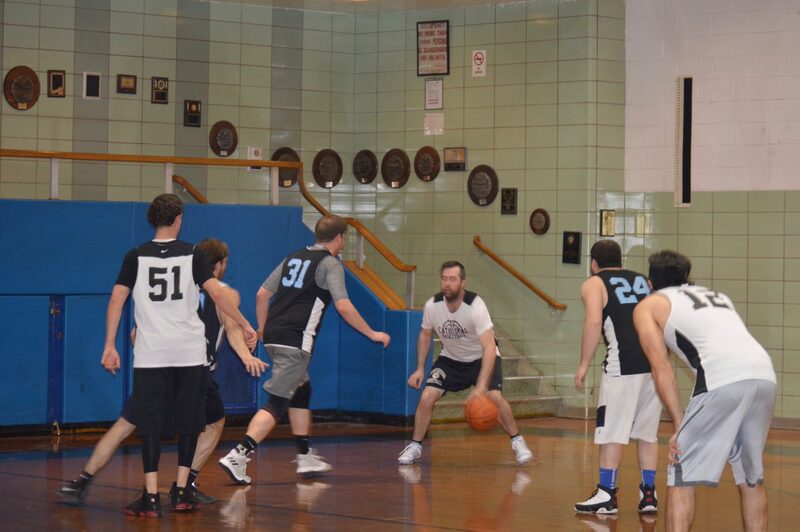 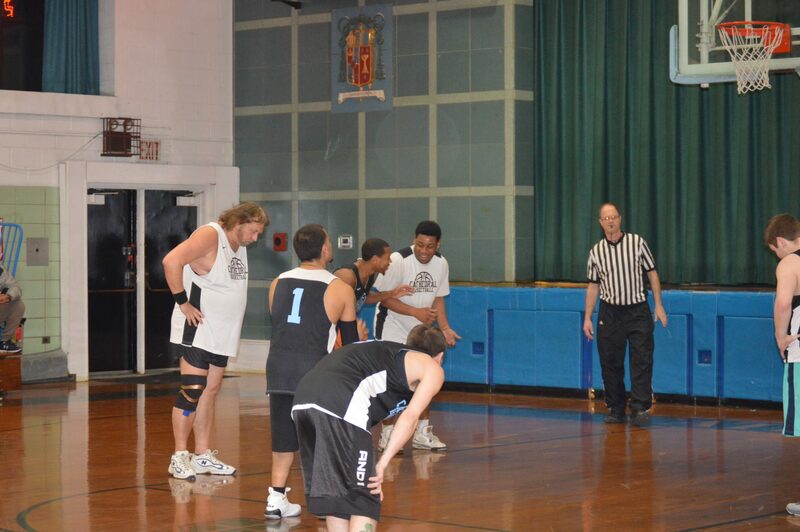 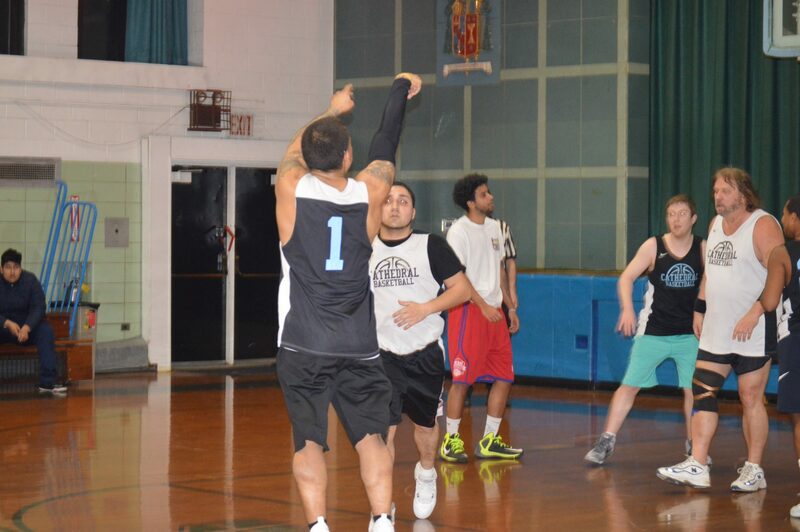 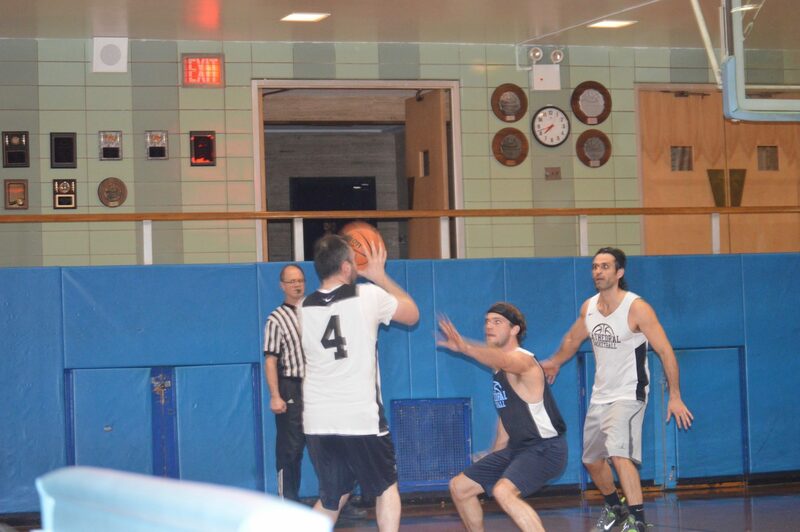 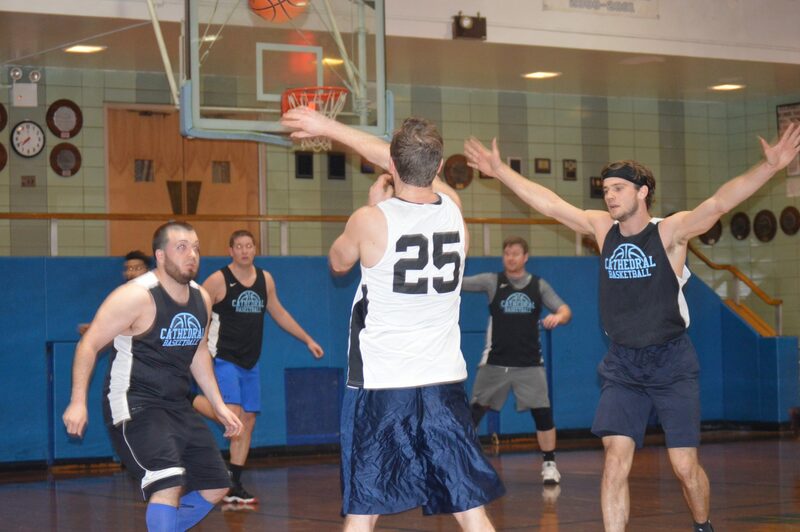 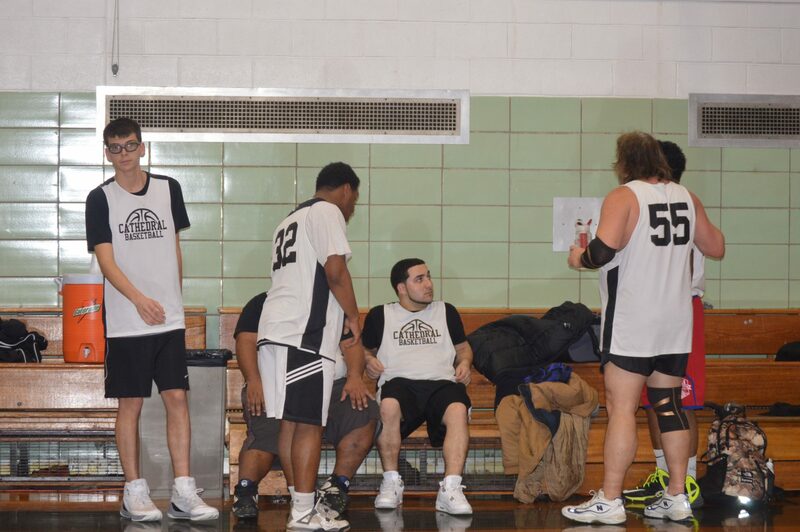 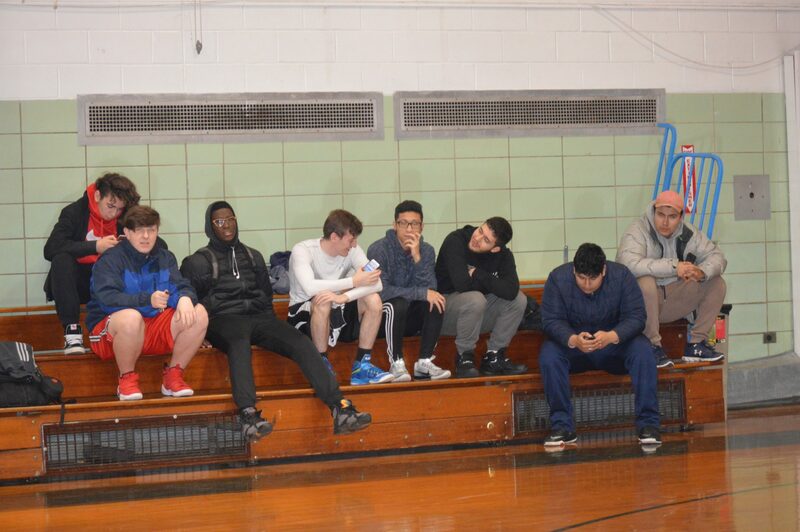 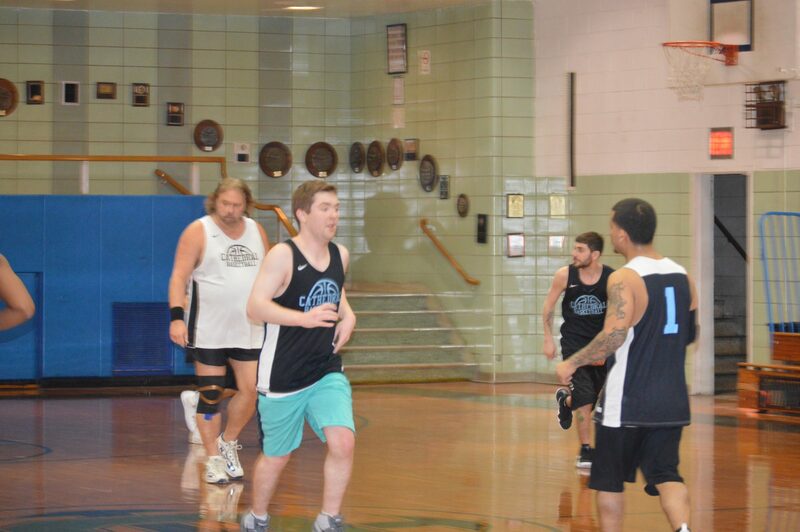 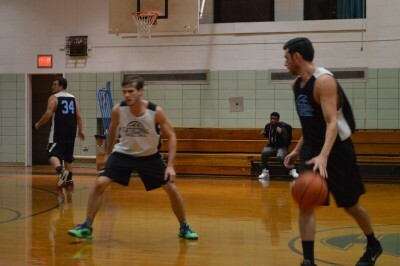 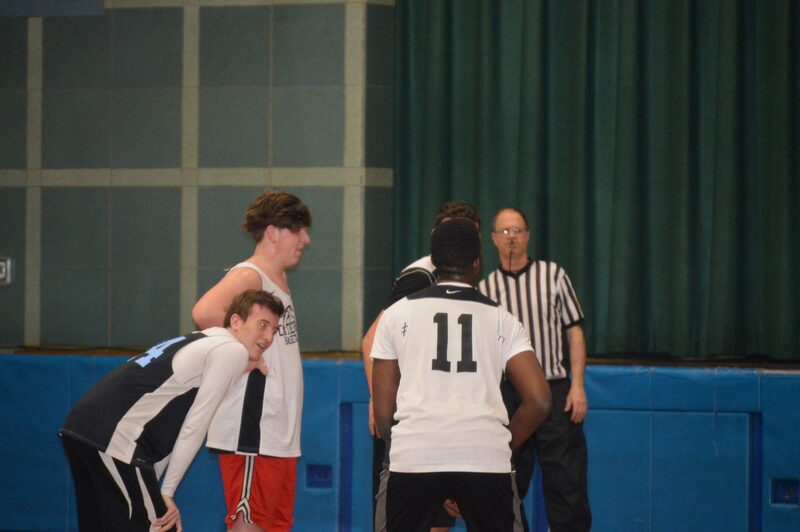 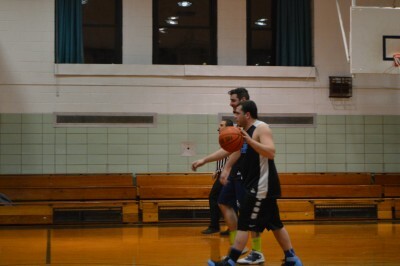 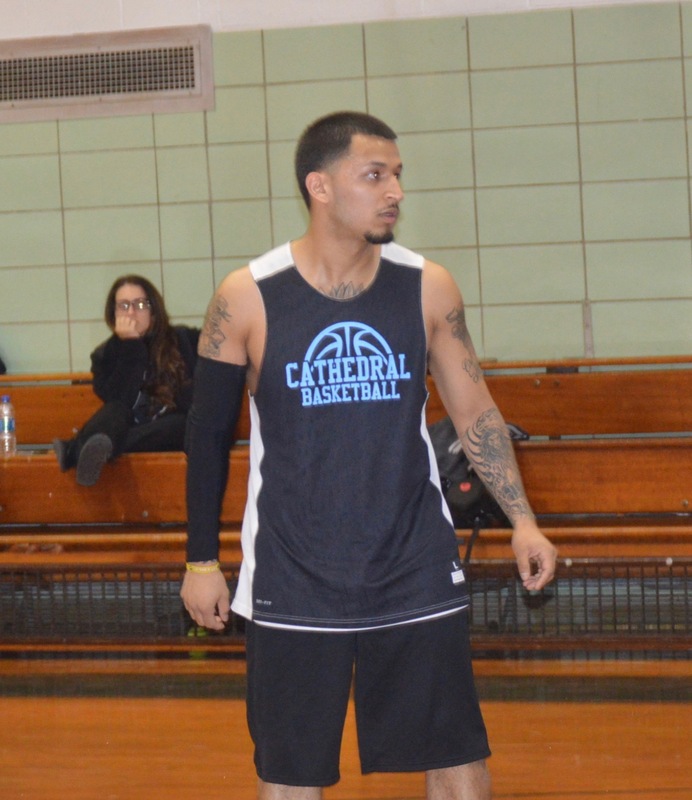 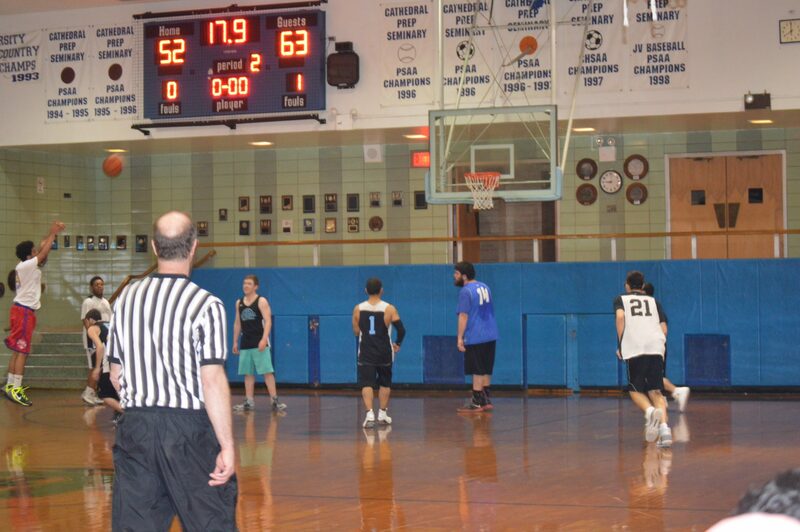 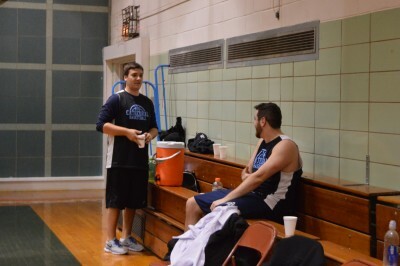 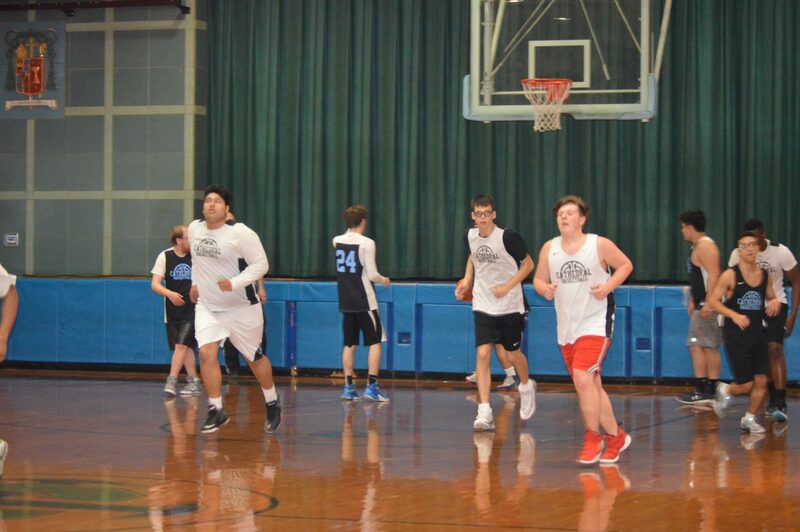 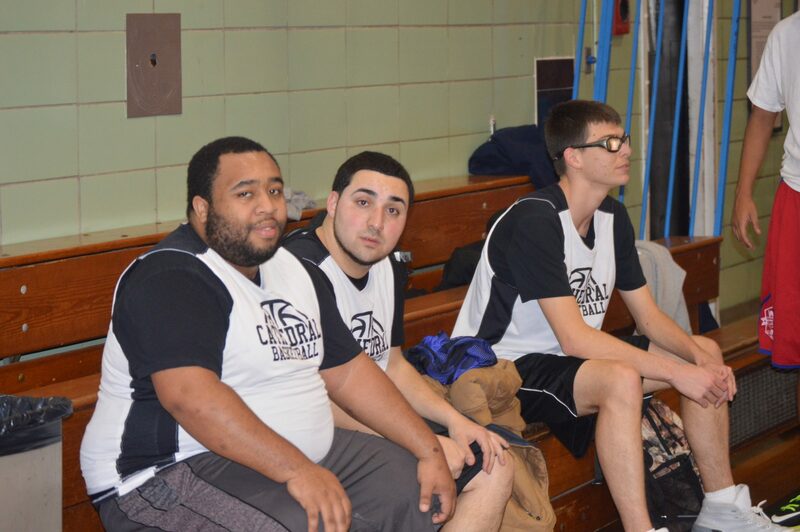 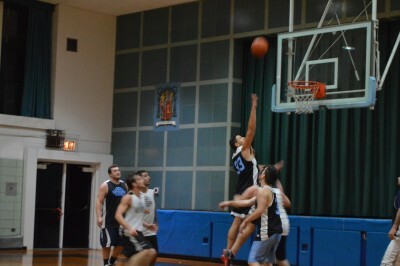 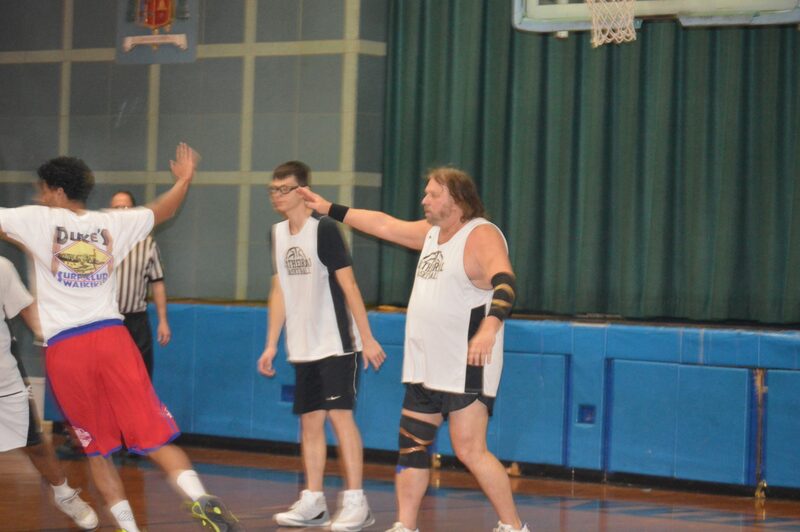 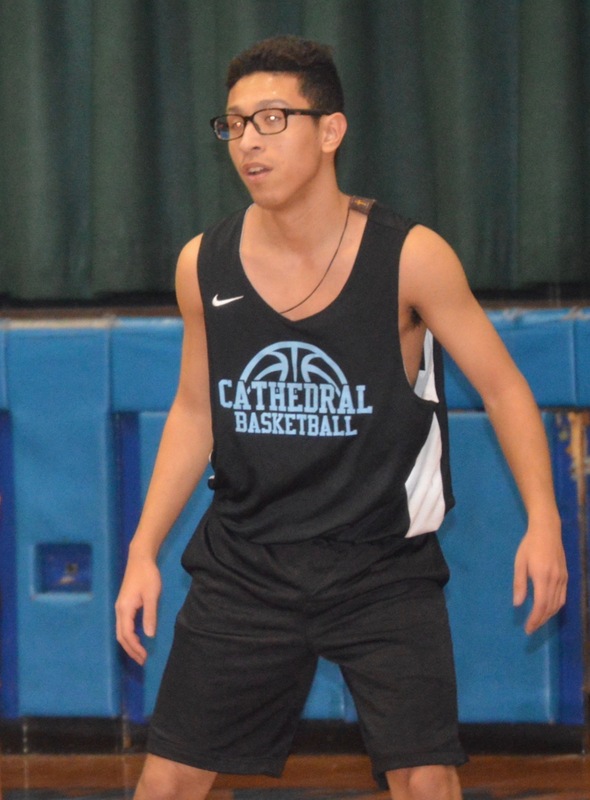 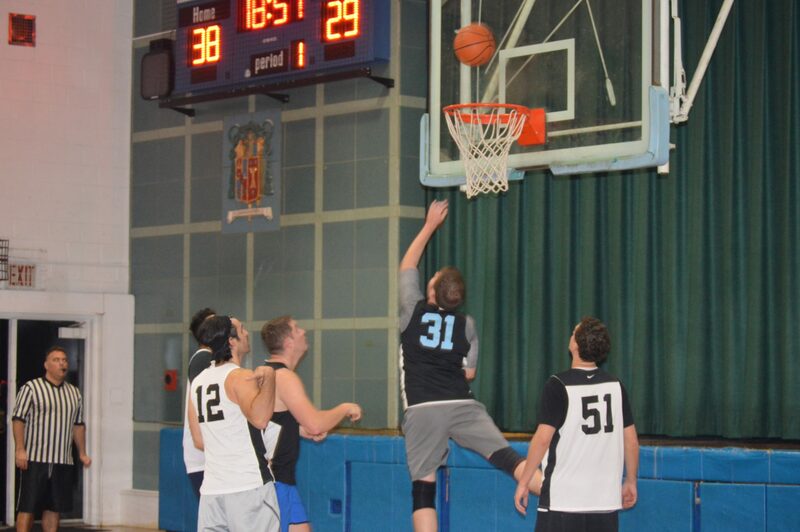 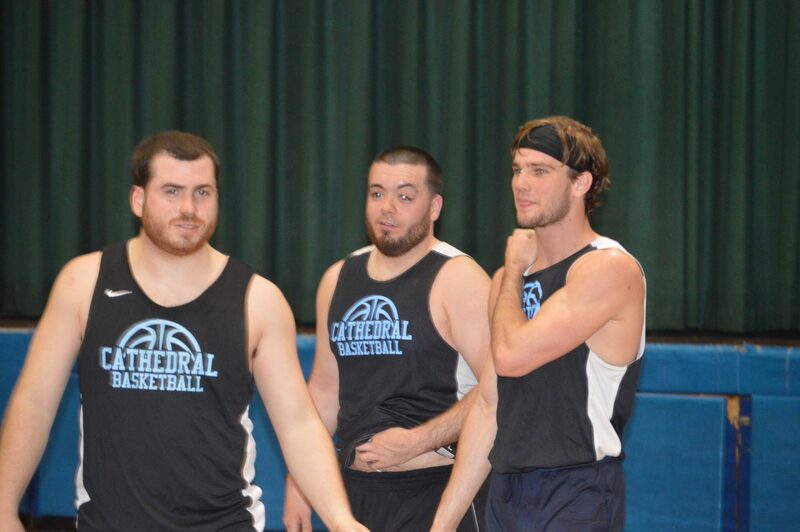 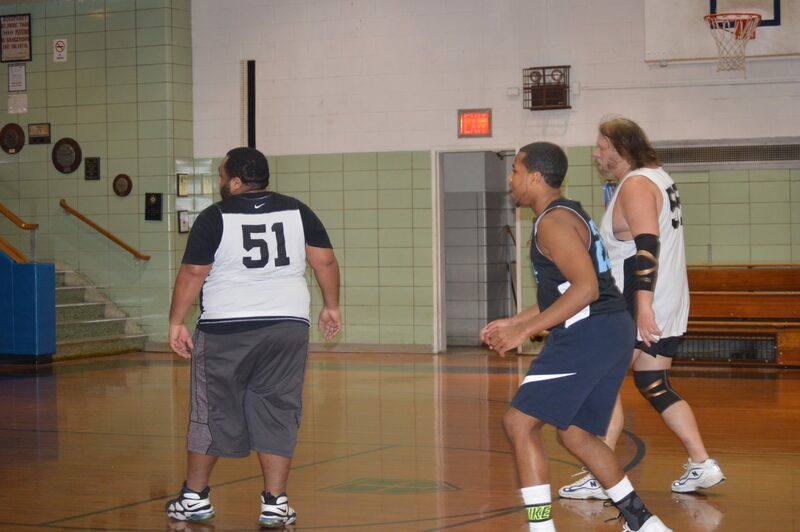 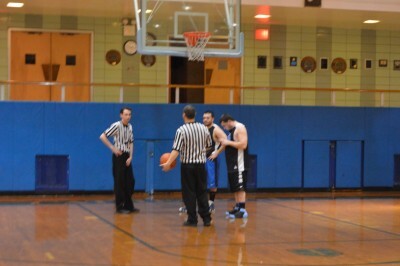 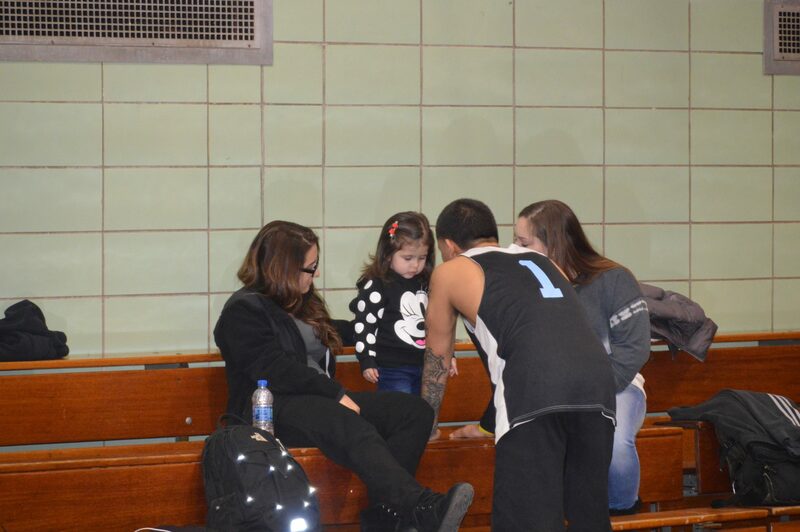 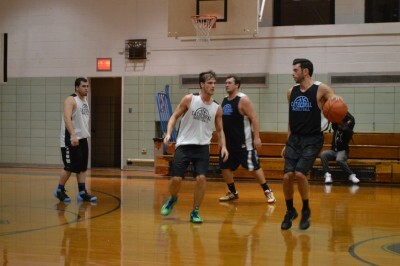 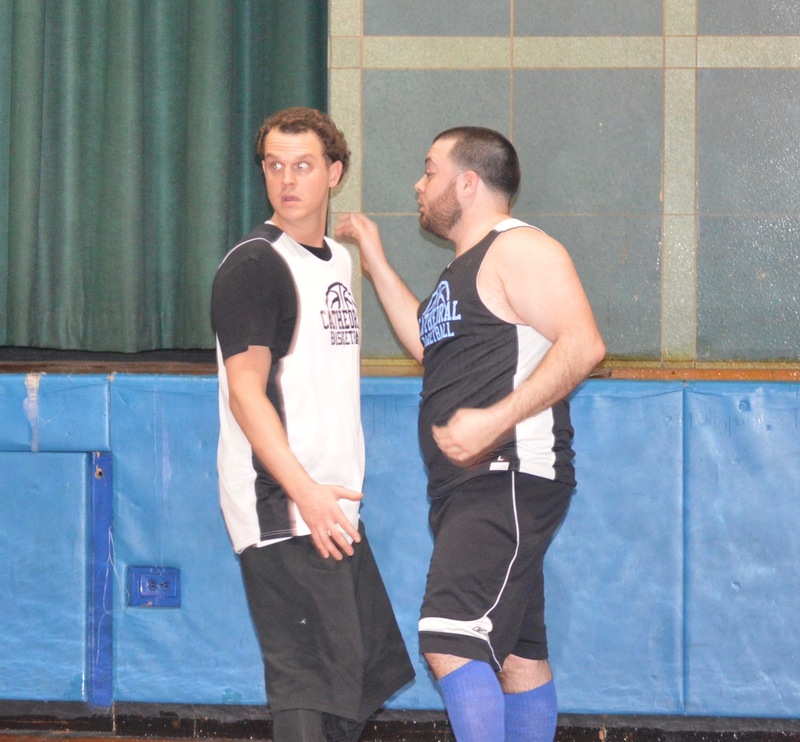 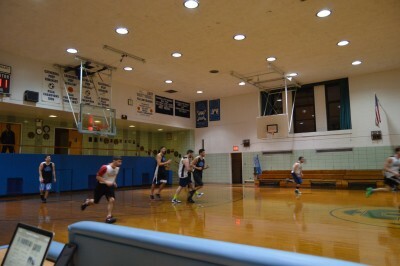 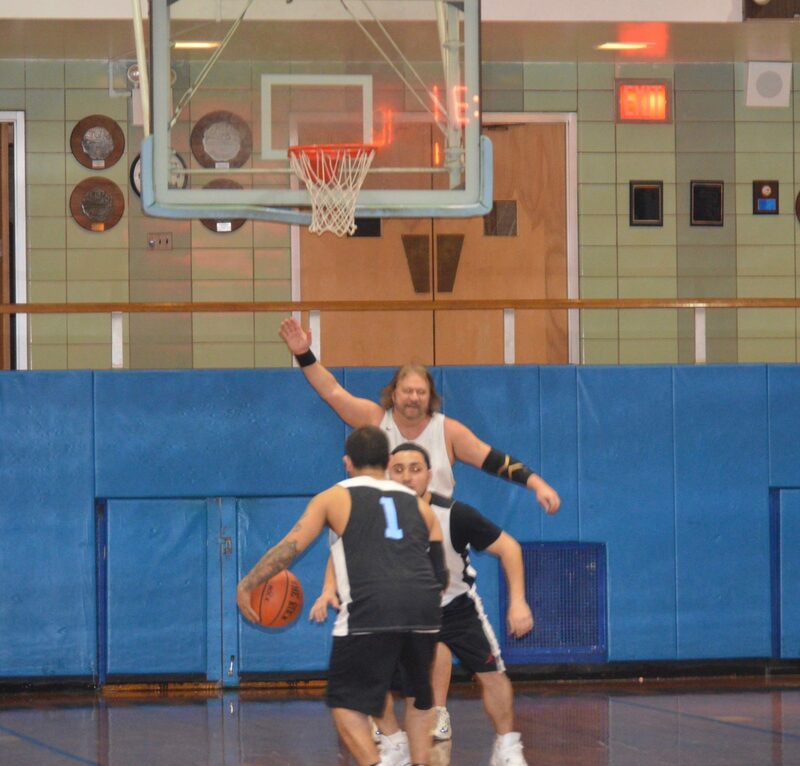 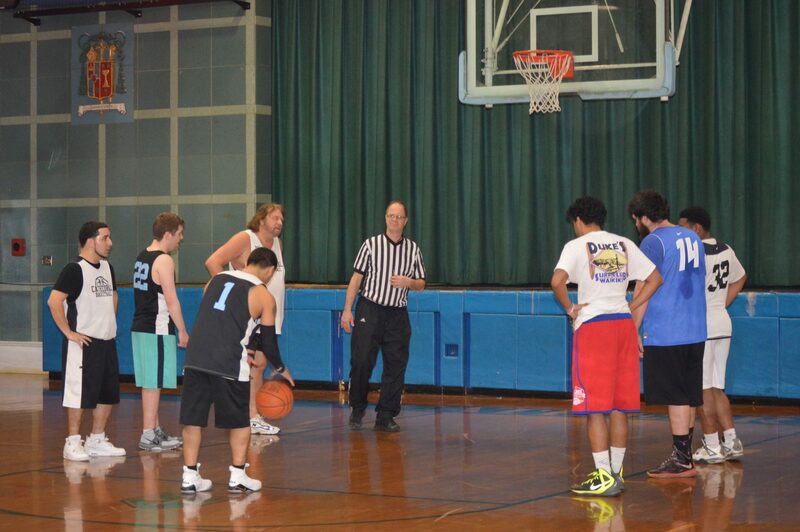 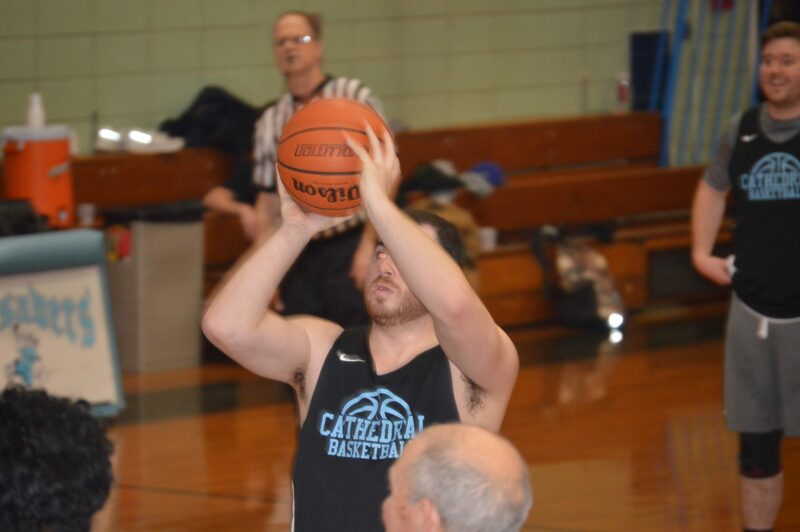 In the CABL opener, the Defenders of the Faith won a thriller over the Protectors of the Holy Name 57-53. 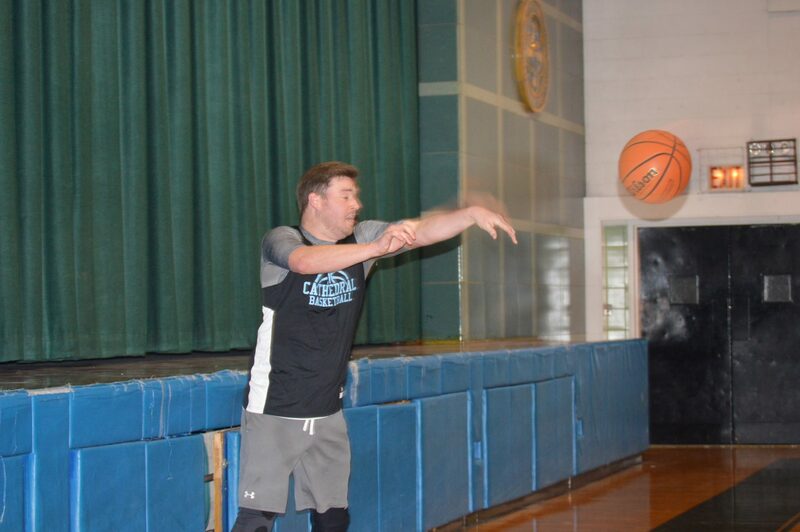 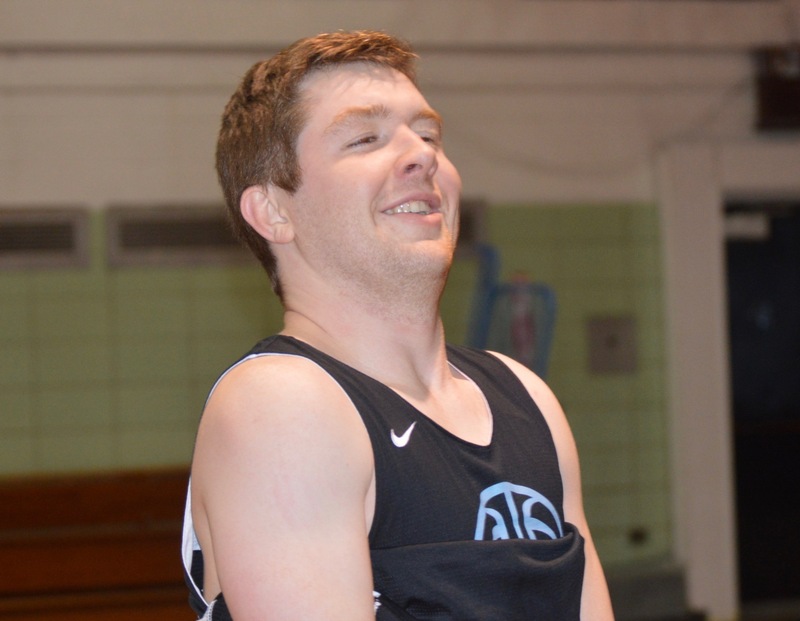 Led by Connor Gallagher, ’12 with 24 points, and great team passing by Johnny Starace, ’12 and Eugene Reynolds, ’12 (who also hit a key three late in the game) along with the strong board work of Thomas Early, ’08, and Dan McQuail, ’09. 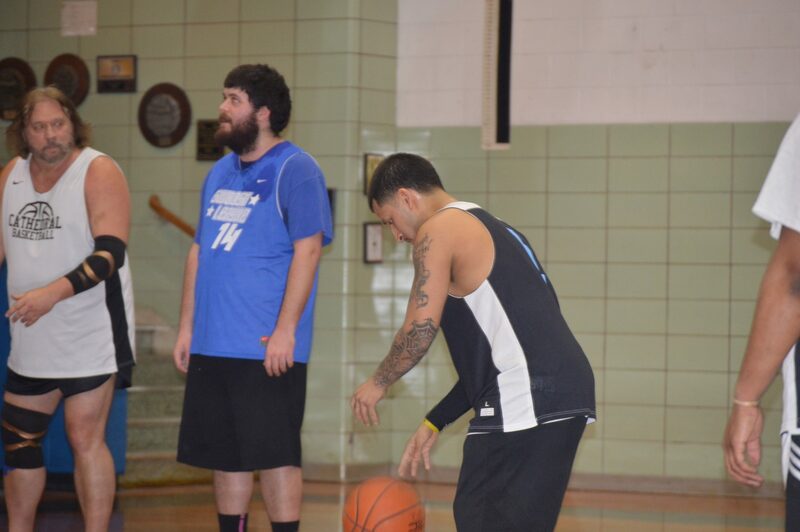 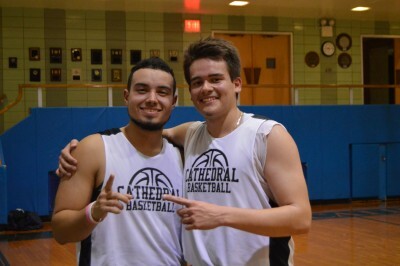 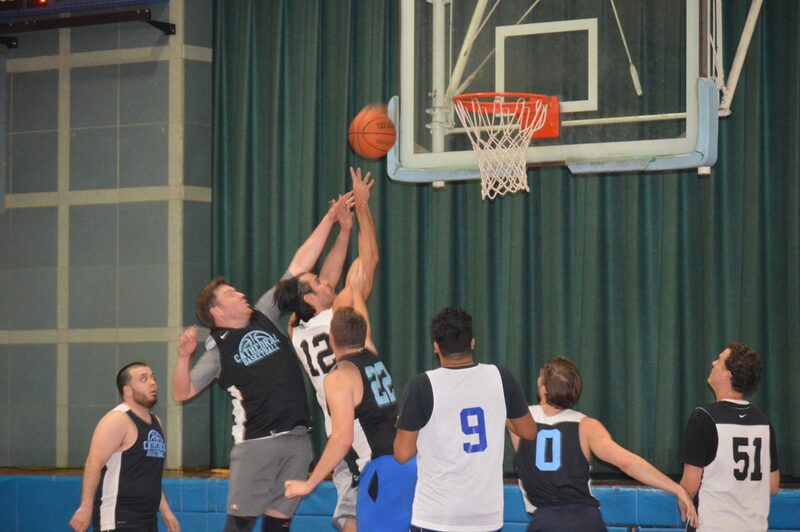 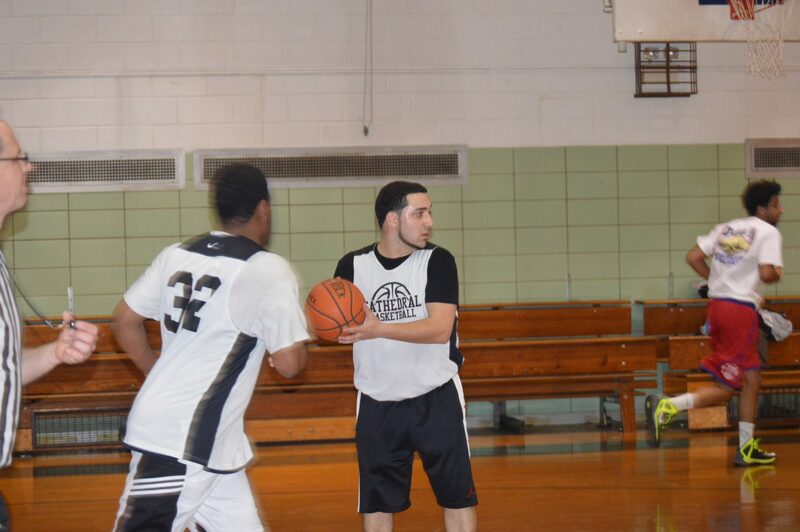 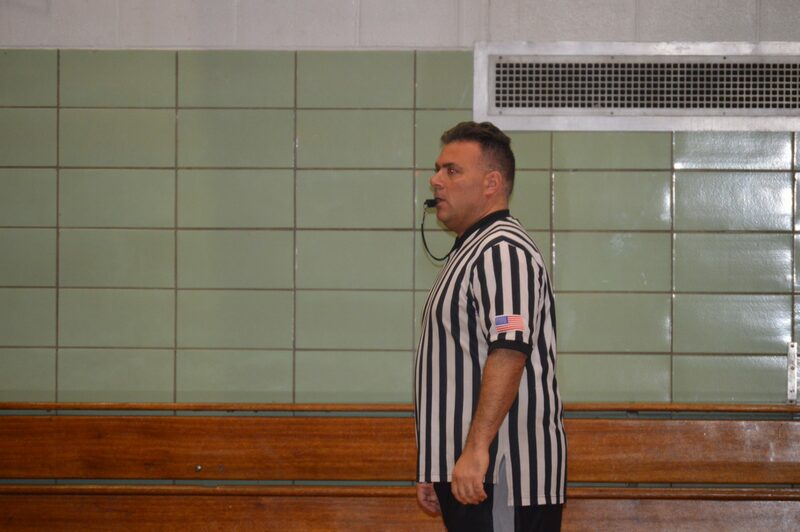 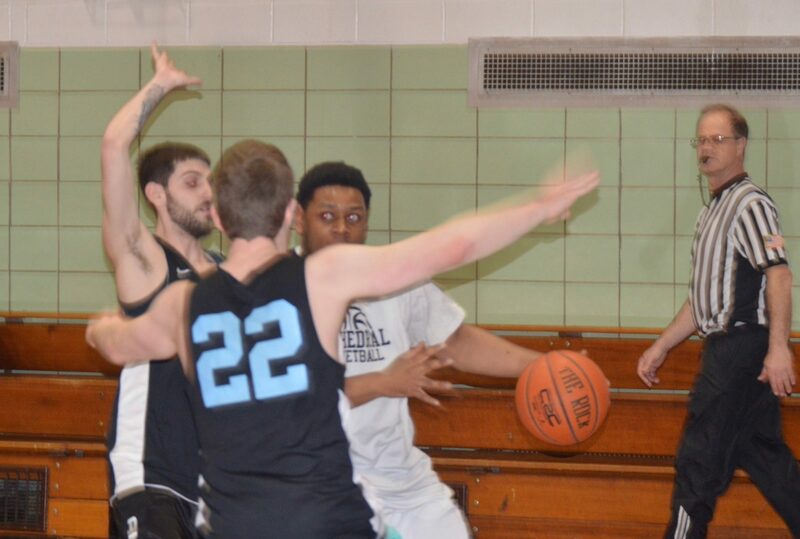 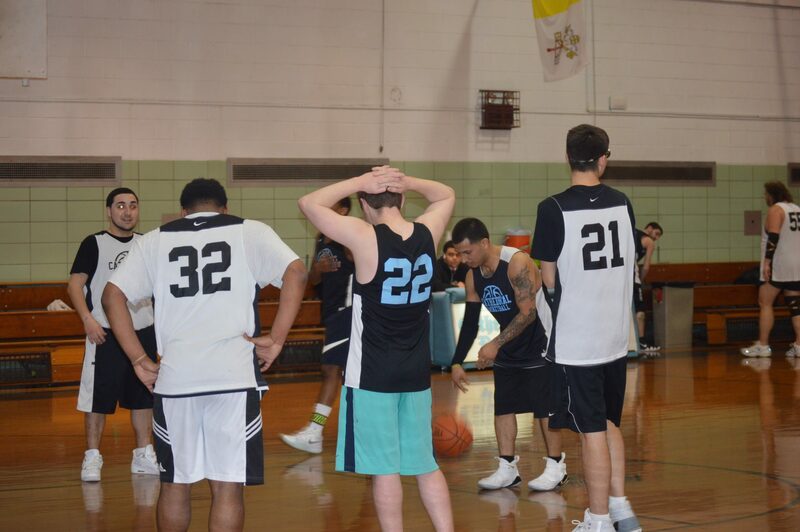 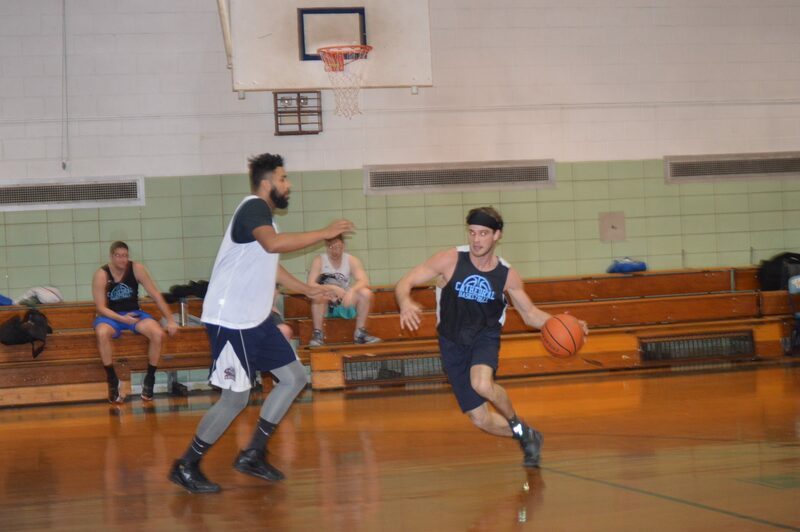 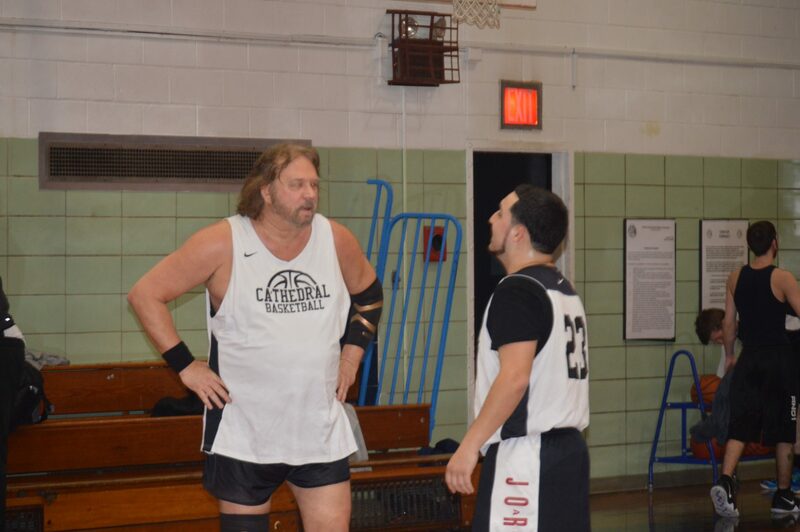 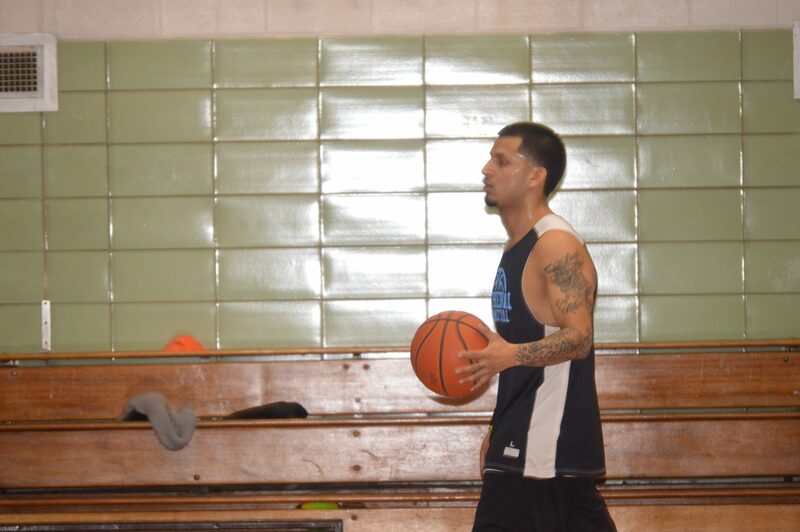 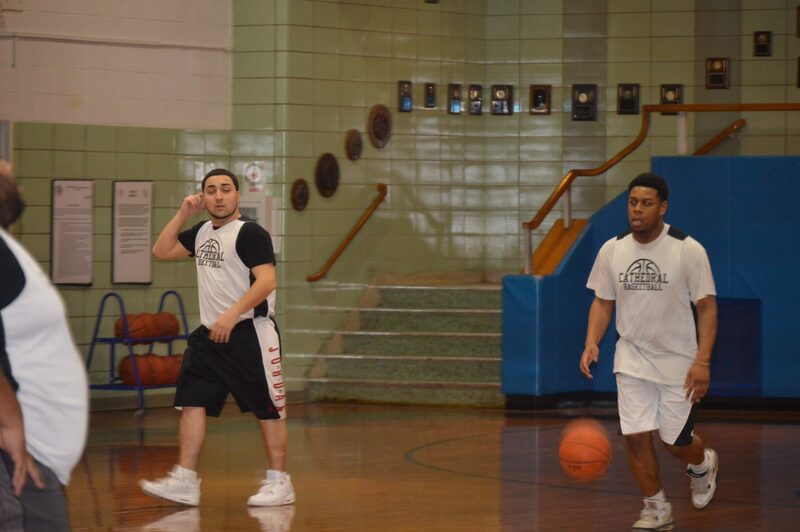 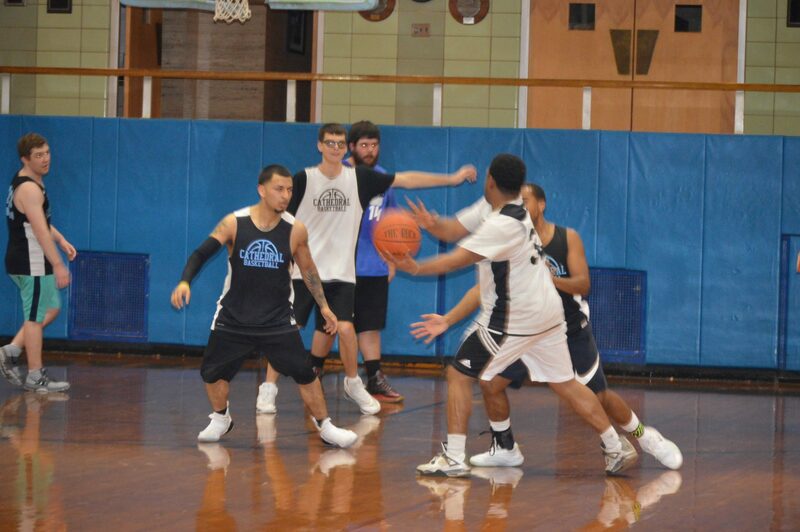 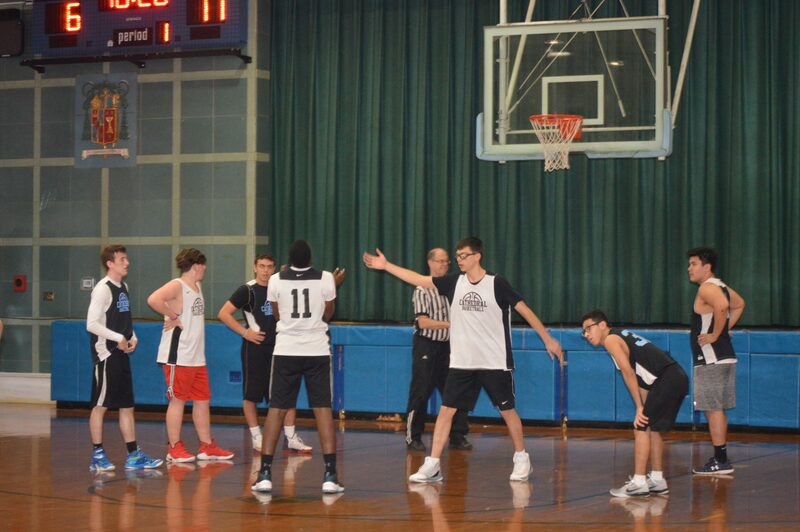 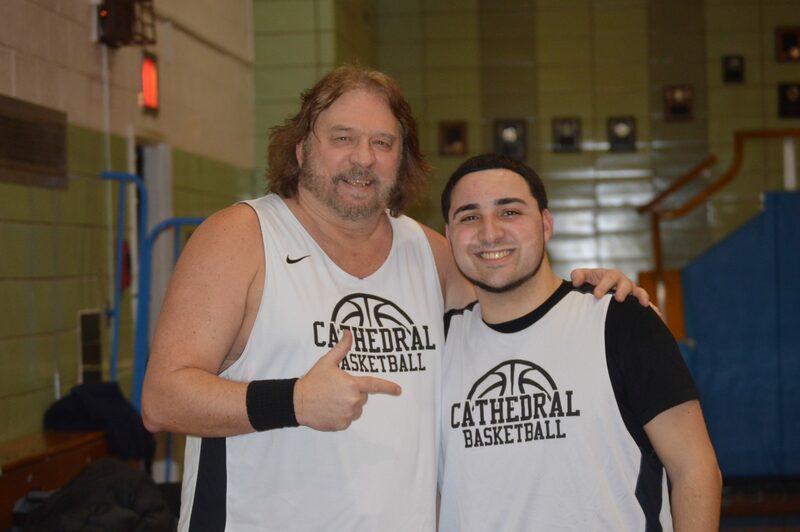 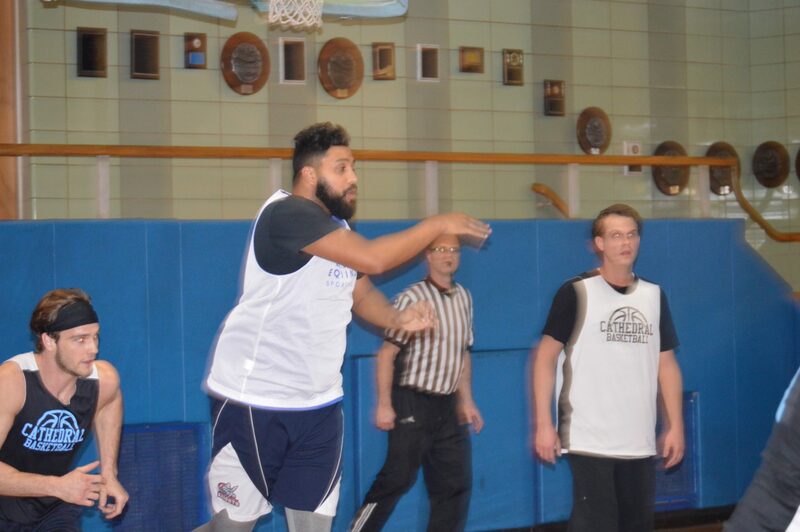 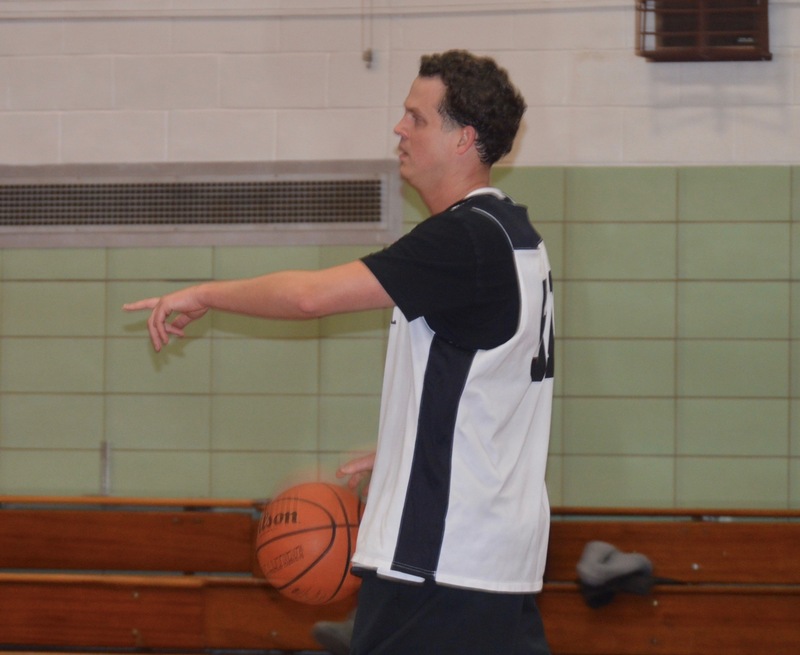 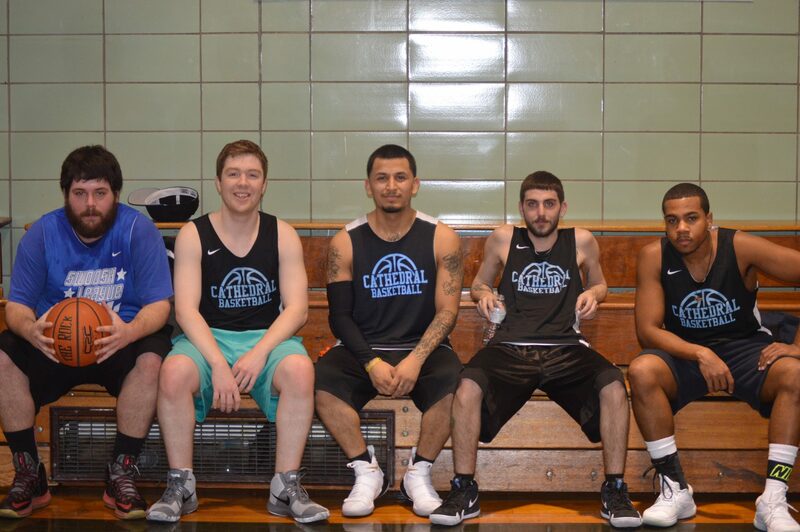 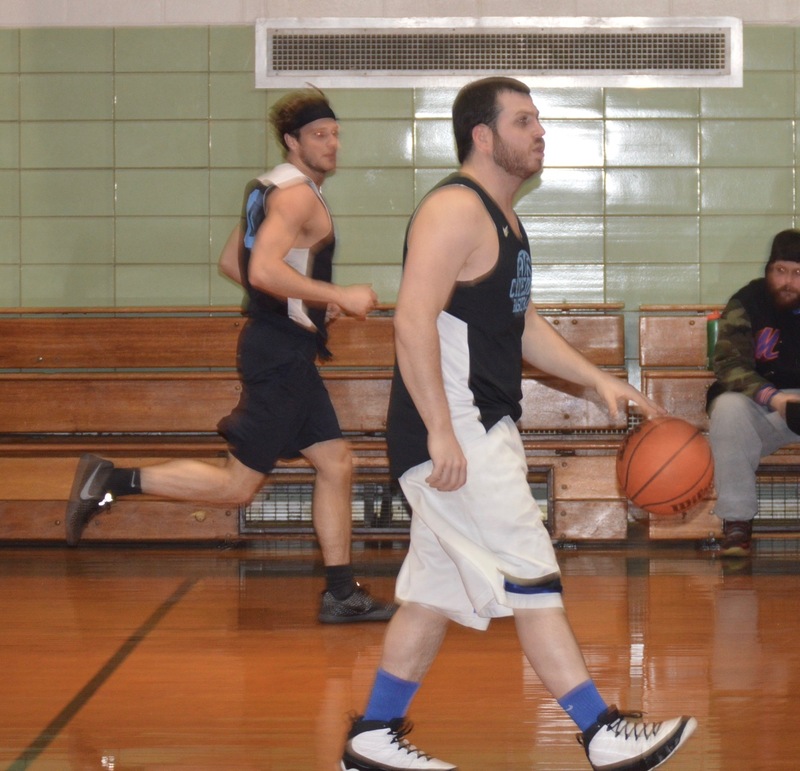 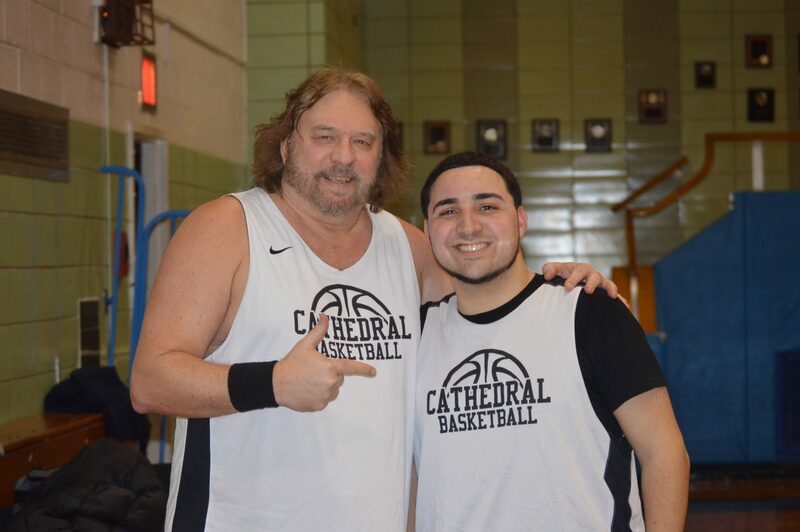 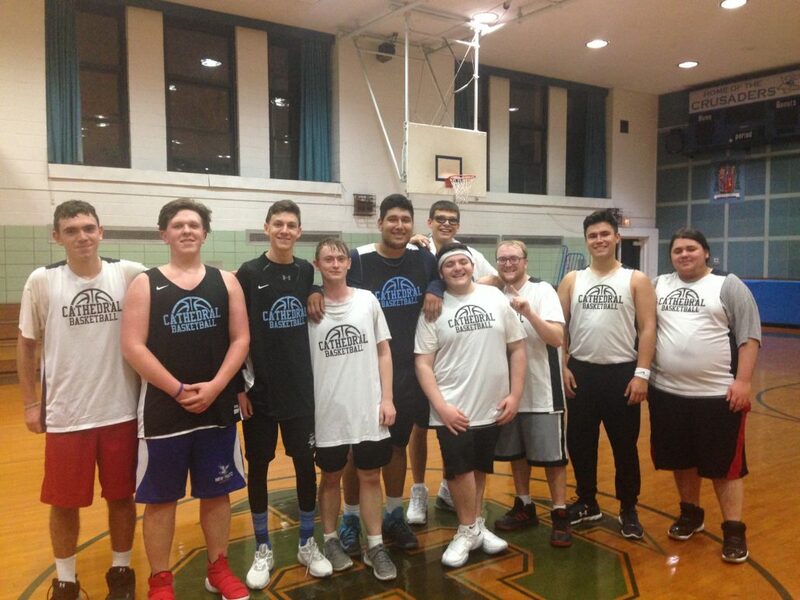 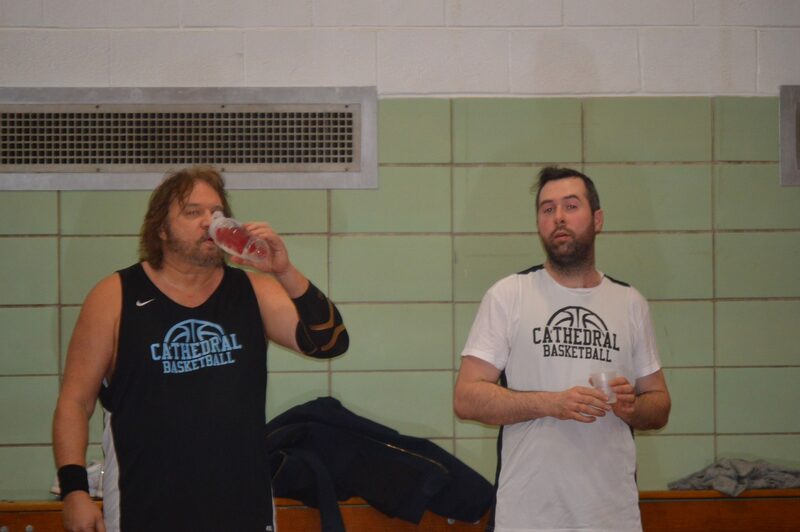 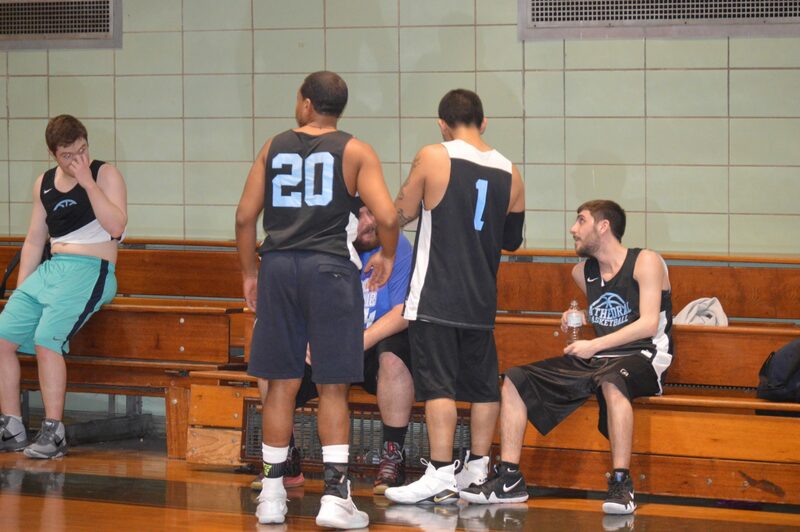 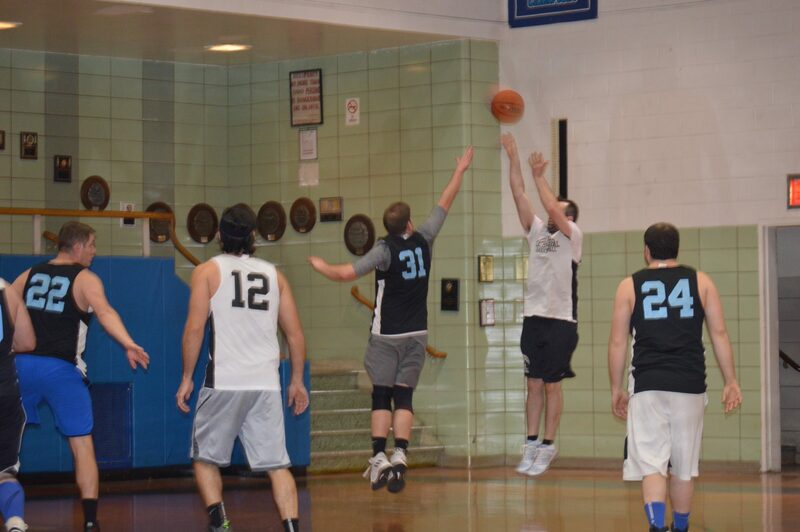 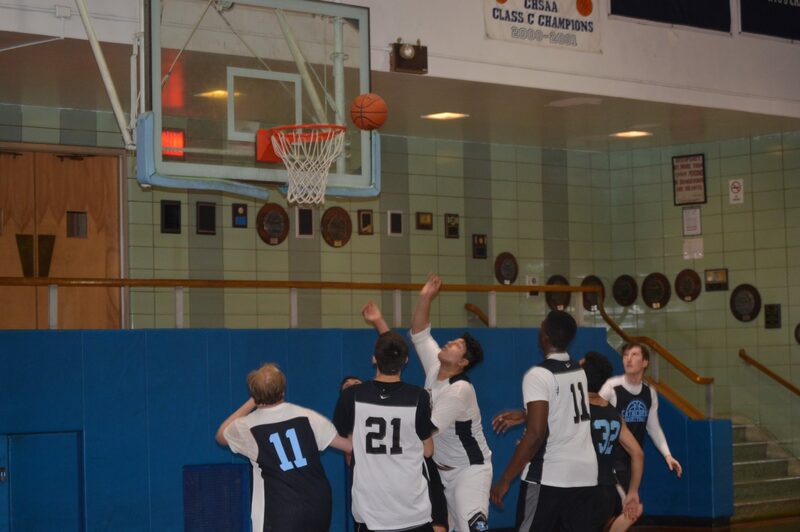 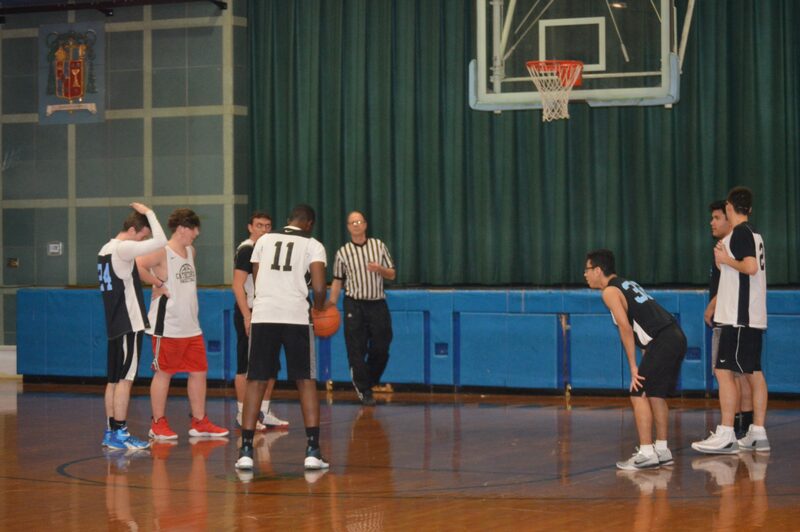 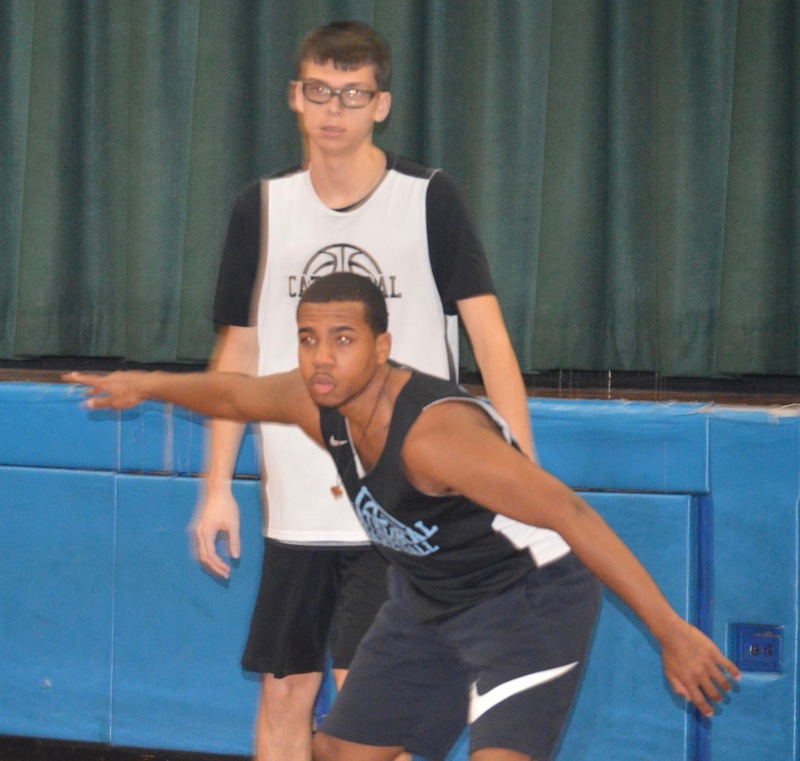 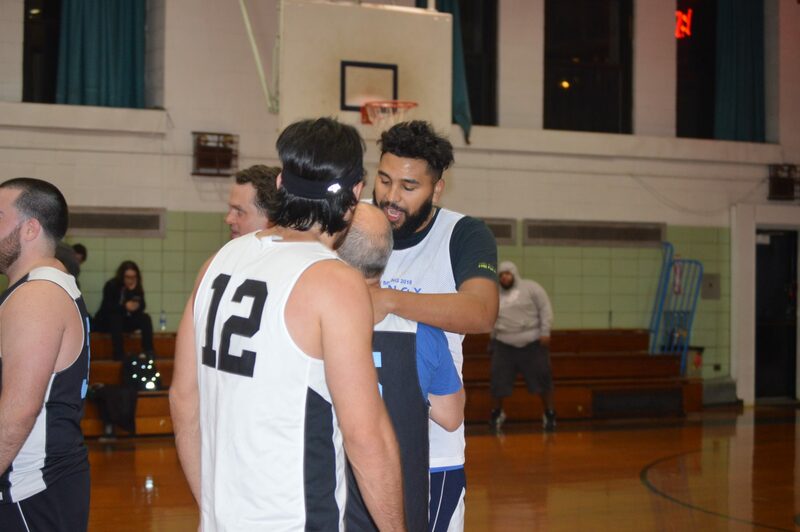 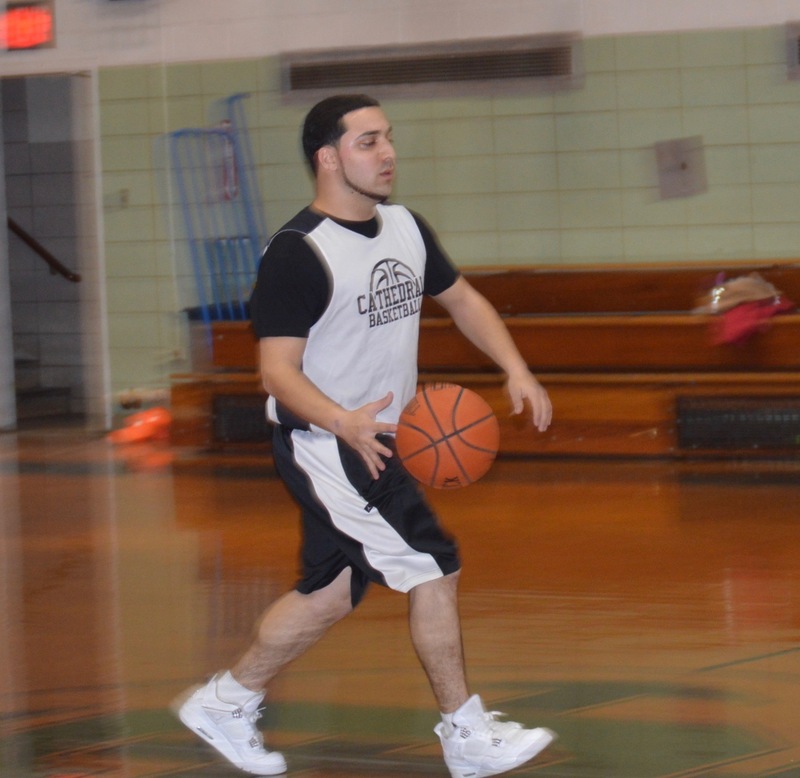 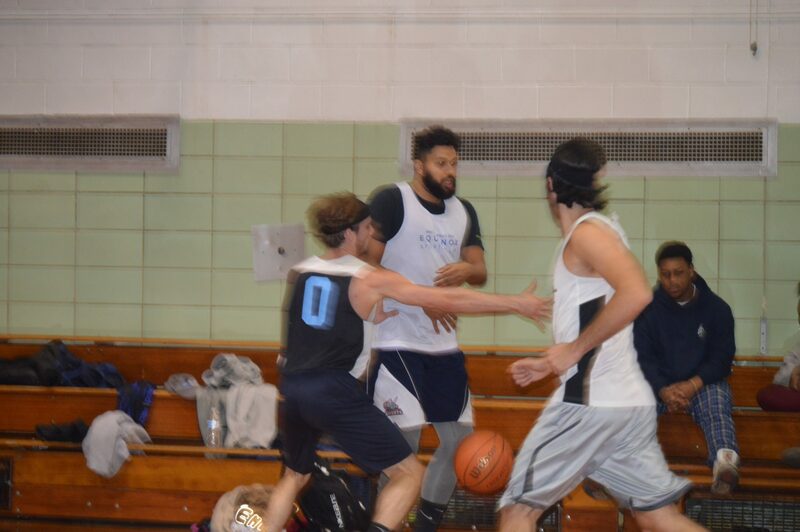 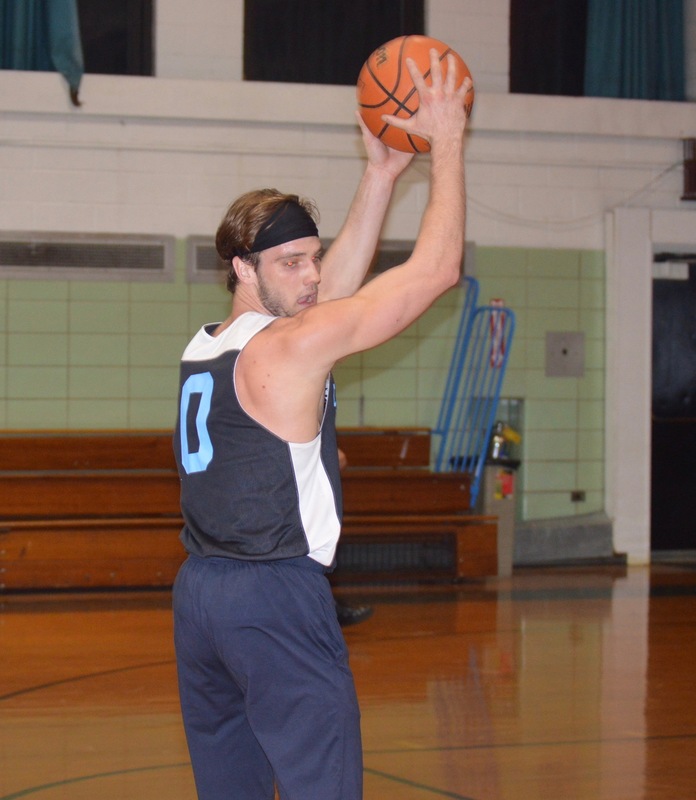 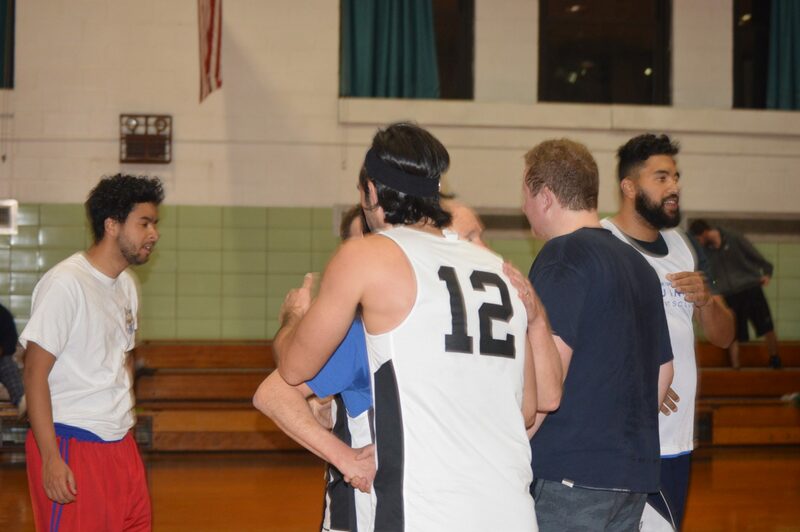 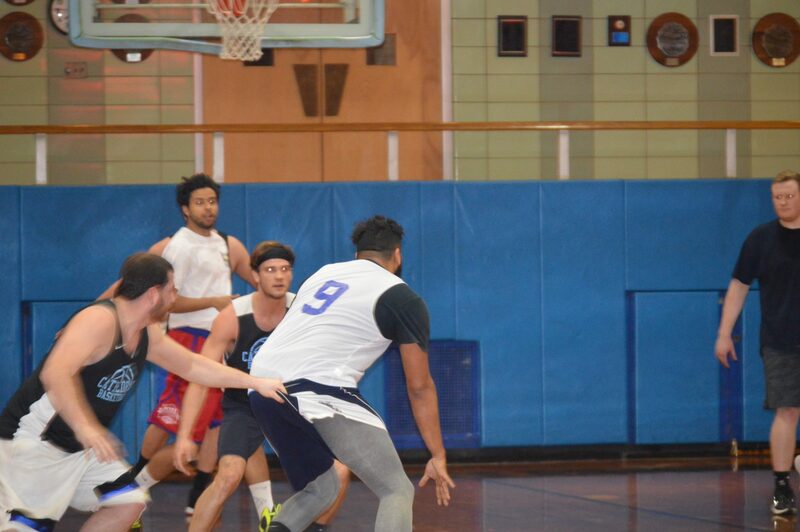 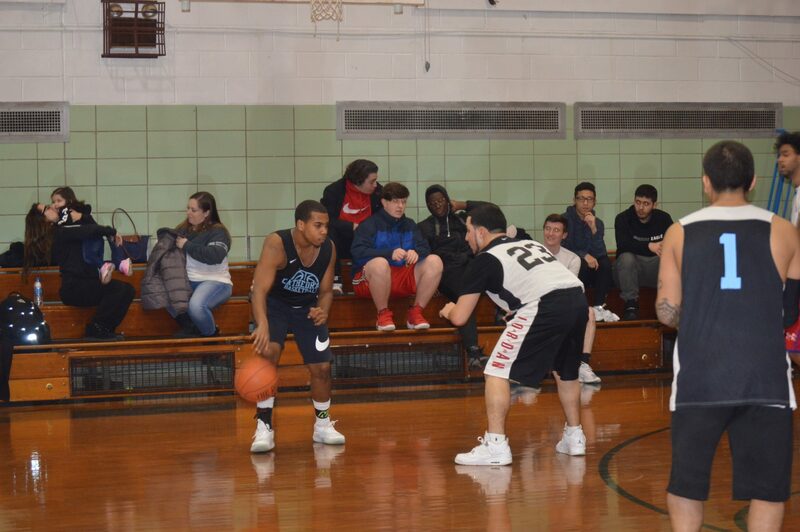 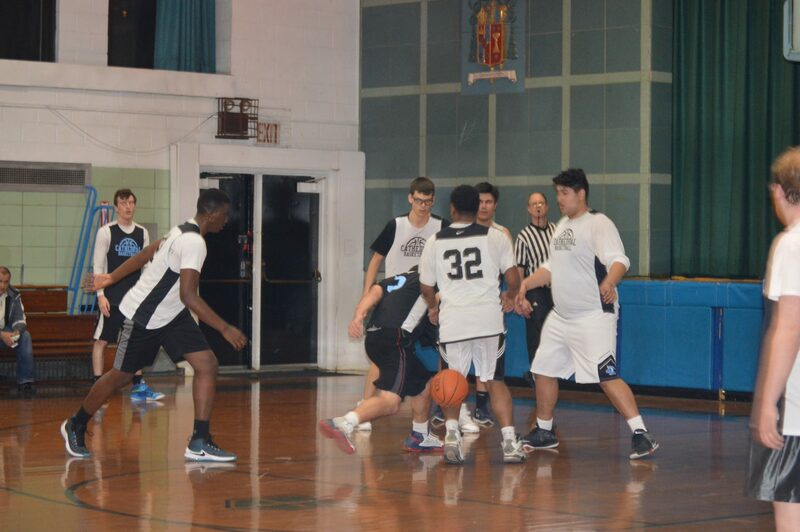 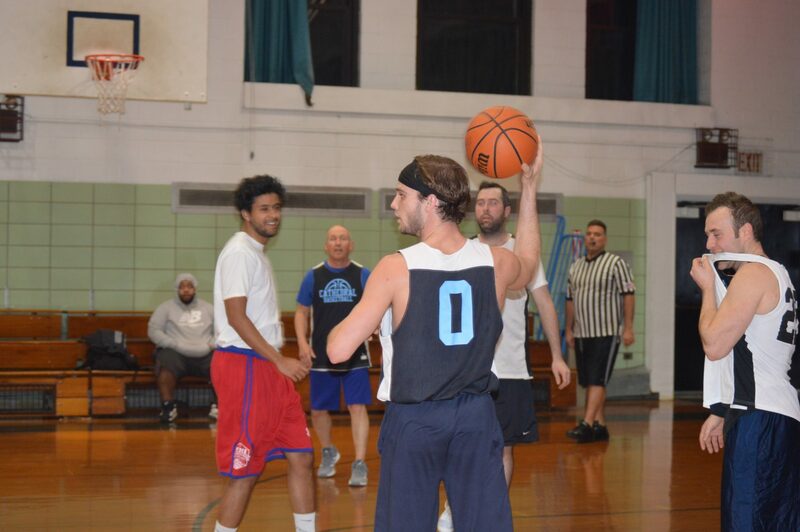 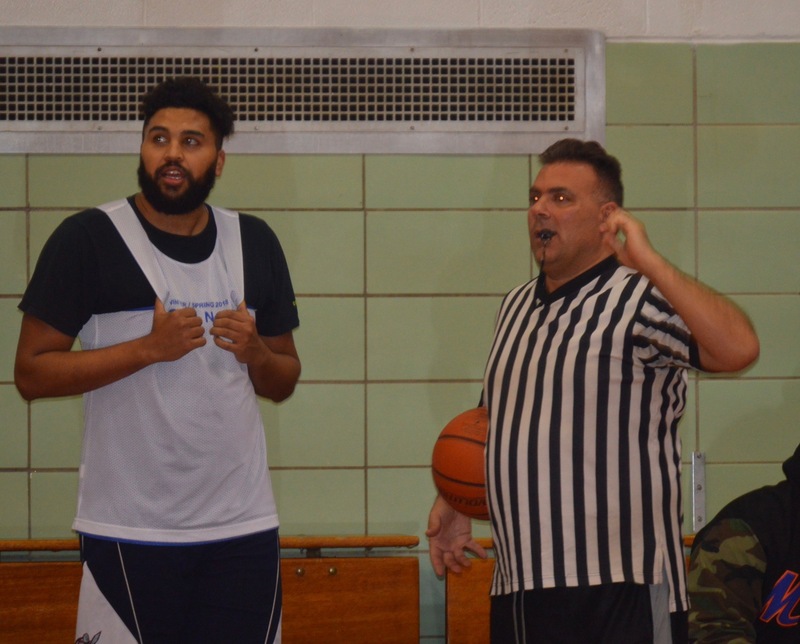 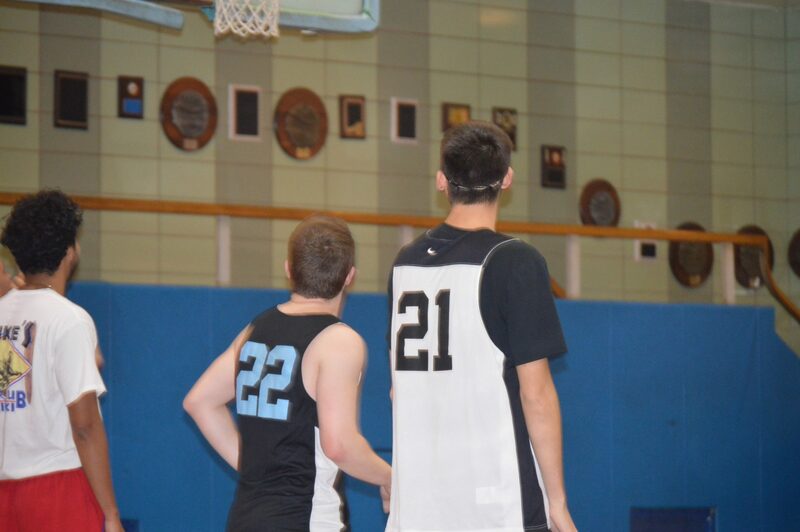 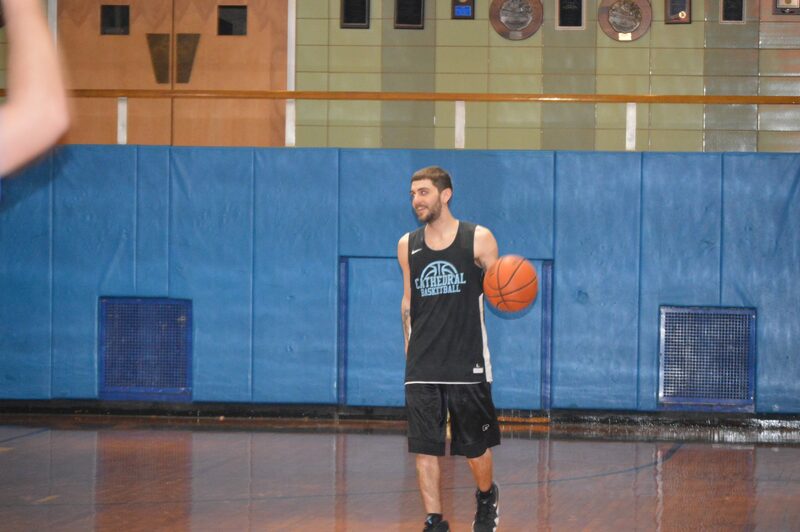 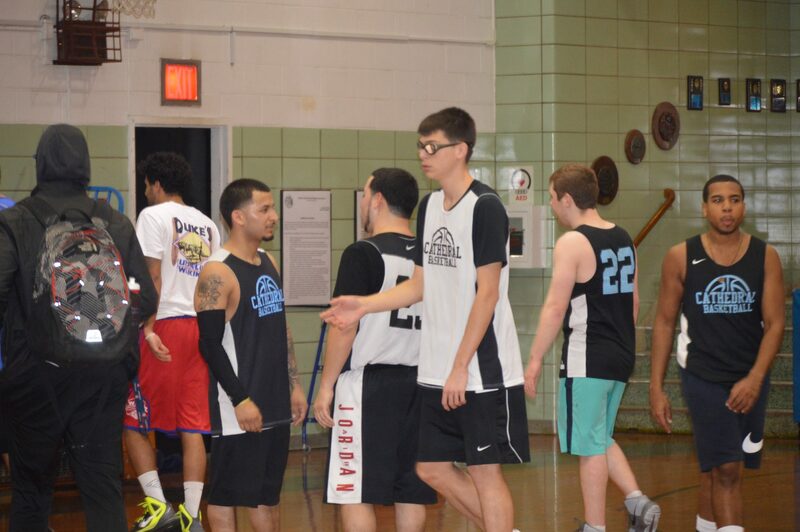 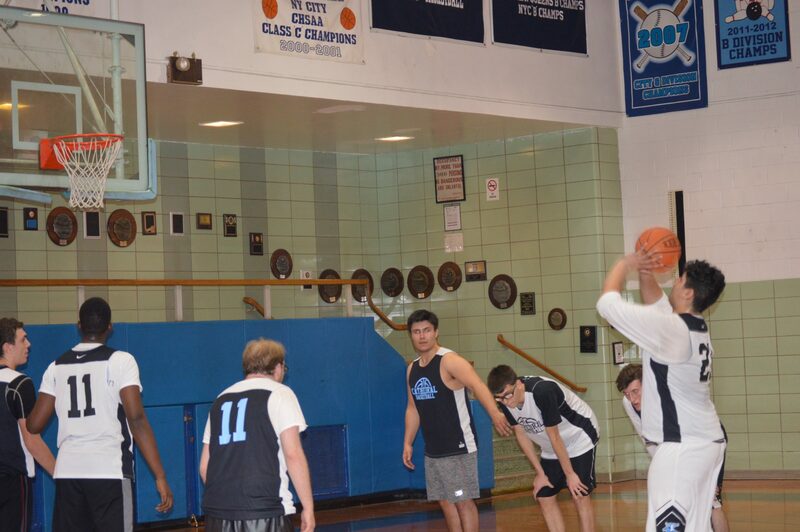 The Protectors of the Holy Name were led by Rich Rodriguez, ’15, who chipped in 16 points and Juan Martin, ’12, adding 13 points – all in the second half. 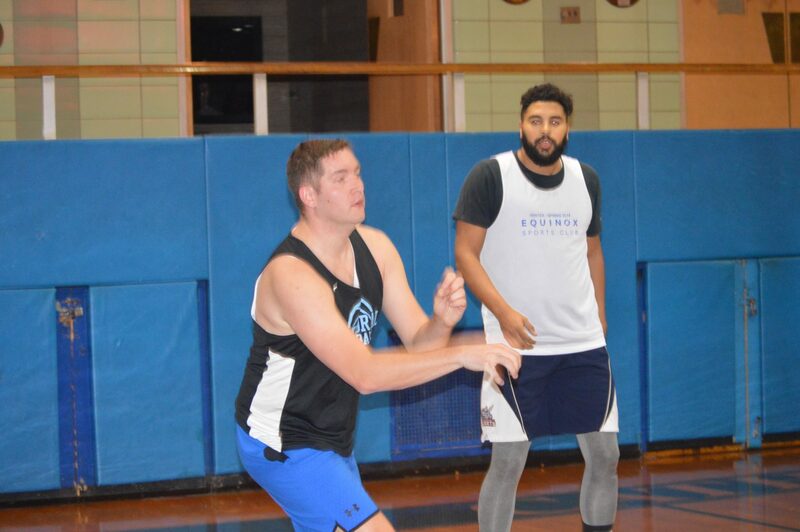 A big welcome to our newest additions to the league, recents alums: Lenny Lynaugh, ’16, Brian Hickey, ’16, Ed Whitemore, ’16 and David Gaskey, ’16.